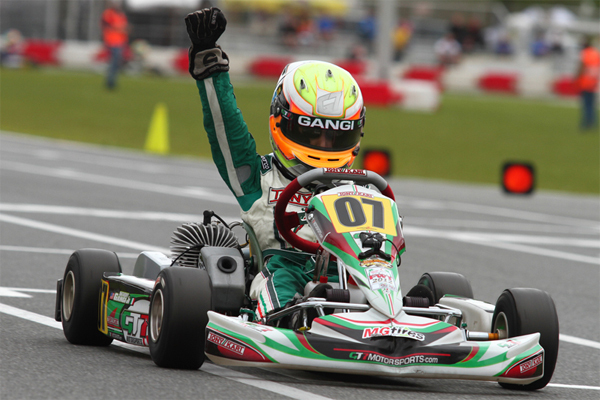 Travelling overseas for another event on his 2016 calendar, American karting standout Anthony Gangi Jr. would do battle in the WSK Super Master Series round three in La Conca, Italy. 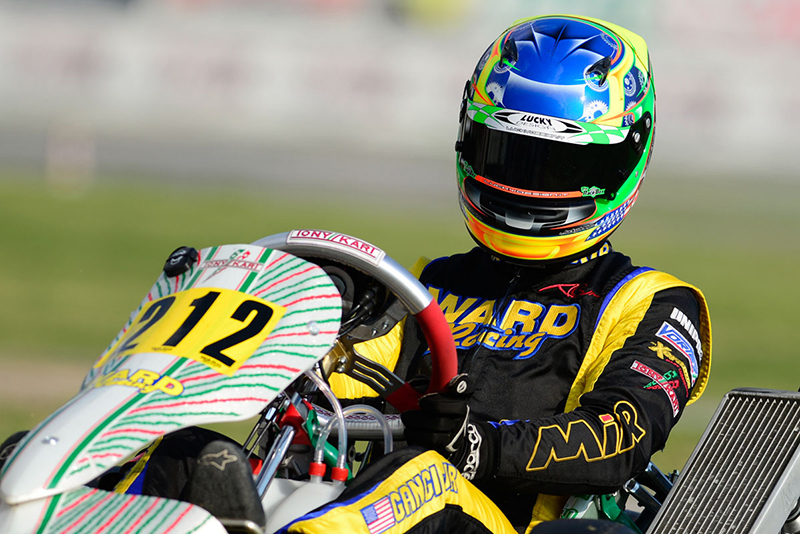 Competing aboard his familiar Tony Kart chassis under the Ward Racing banner, the multi-time champion would once again be in the OK division in his quest for constant improvement and solid results in the highest level of karting around the world. Spring-like weather greeted drivers at the International Circuit Napoli in Sarno, Italy, for the second stop of the WSK Super Master Series, with American Anthony Gangi Jr. continuing his European campaign for 2016. 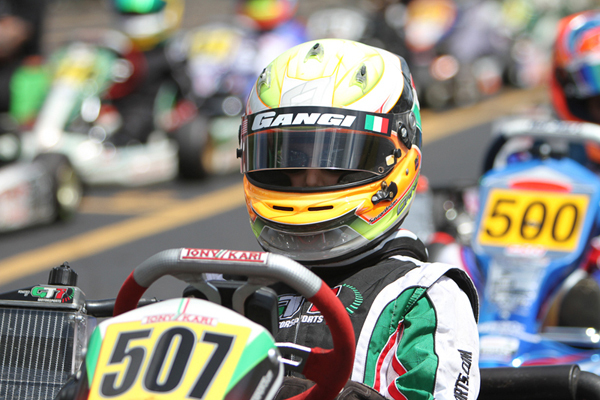 During his rookie effort in the senior karting ranks, and racing against the best drivers in the world, Gangi Jr. has been determined to make his mark worldwide. 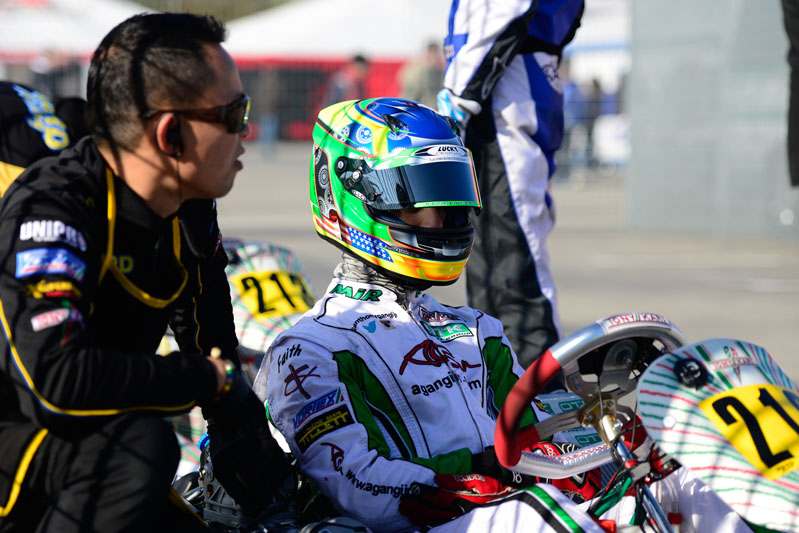 Teaming with tuner Matsuura Masanori and Ward Racing, the Tony Kart pilot continues to make improvements each and every round despite running into some bad luck. 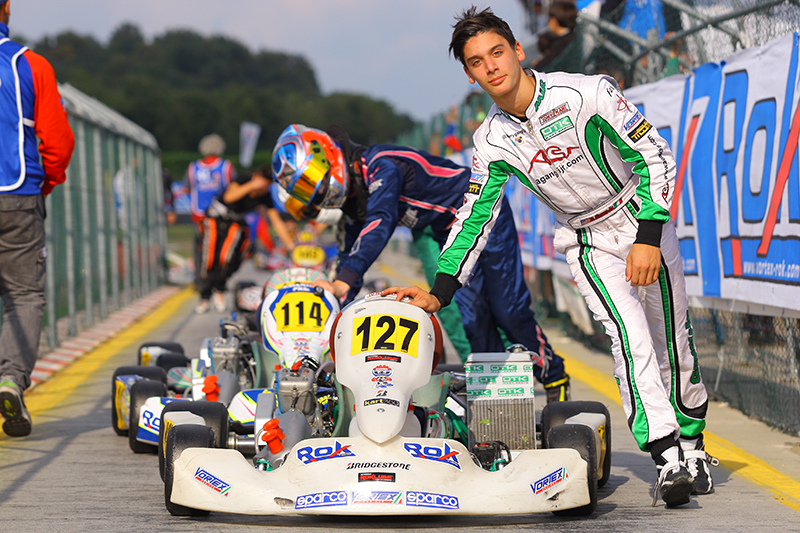 Taking on top karting talent from around the world, Anthony Gangi Jr. started his first WSK Super Master Series event this past weekend at the 7 Laghi International Circuit in Castelletto, Italy. 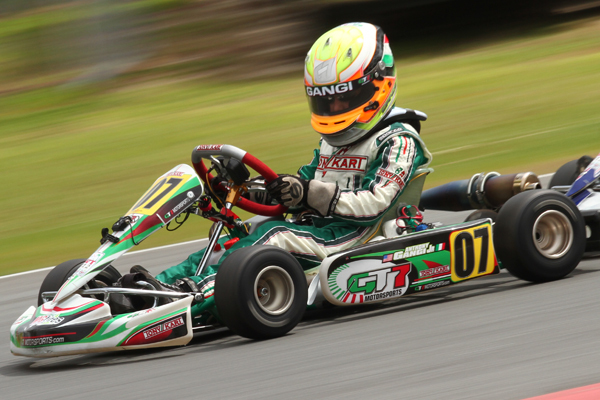 With weather playing a major factor in the first of four rounds in the WSK series, Gangi Jr. and his Ward Racing team were plagued not only by the weather but also with engine gremlins. Despite all this, the outstanding young man and burgeoning talent left Castelletto more determined than ever. 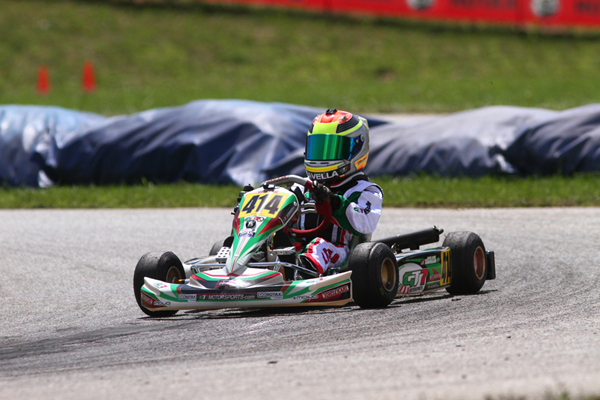 Continuing his European campaign in 2016, Anthony Gangi Jr. participated in the opening of the international season, the 21st Winter Cup, at the South Garda Karting facility in Lonato, Italy. After a strong performance in his debut, the rising talent may not have had the weekend he hoped for, but he still showed talent and promise at the premier event. 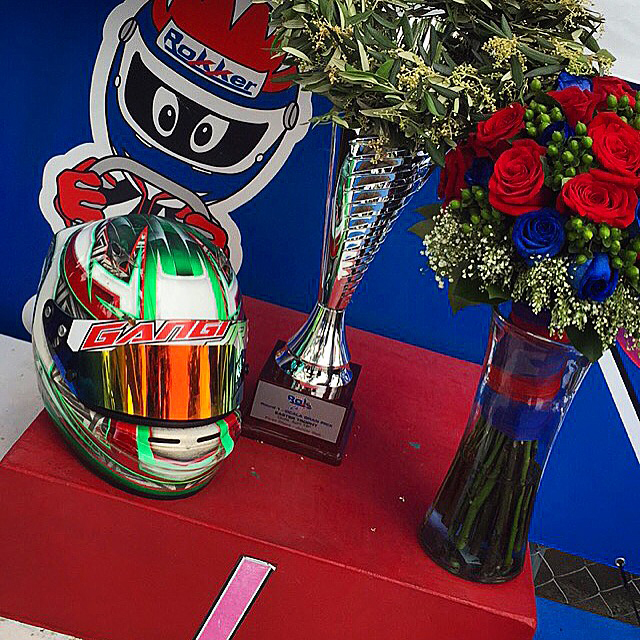 Making some huge changes for his 2016 campaign, American karting standout Anthony Gangi Jr. wrapped up his senior class debut at the first race of his full European schedule this past weekend. 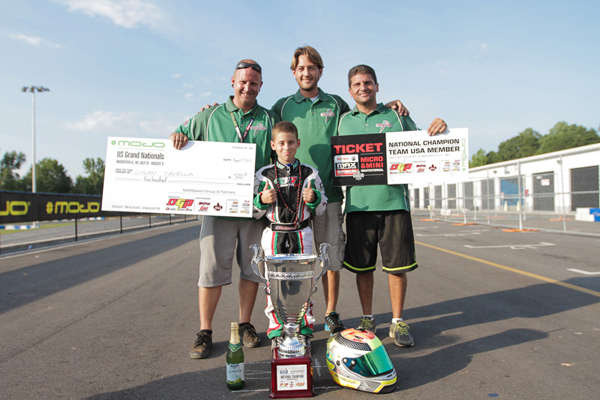 Taking on the new OK class at the WSK Champions Cup at the Adria International Raceway in Northern Italy, the Tony Kart pilot impressed all in his first European event of the 2016 season. 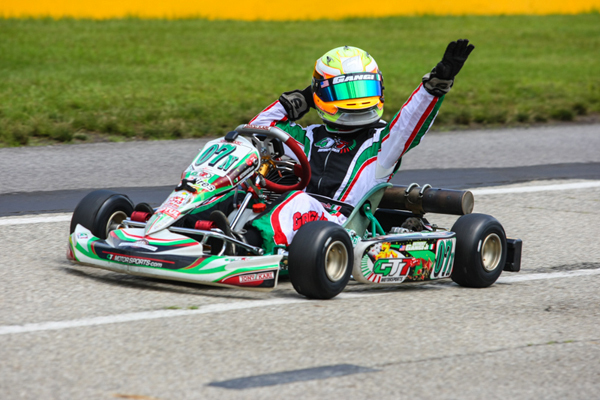 With over 100 race wins and numerous championships to his credit, karting star Anthony Gangi Jr. now has the possibility to take his racing career to the next level. Recently submitting his application to the 2015 Mazda Road to Indy and MAXSpeed Group Driver Advancement Program, the GT7 Motorsports pilot was selected as one of 12 finalists to proceed in the program. Four winners will be chosen to participate in a one-day test in the Cooper Tires USF2000 Championship Powered by Mazda during off-season testing, giving these karting drivers the first taste of the Mazda Road to Indy ladder program. 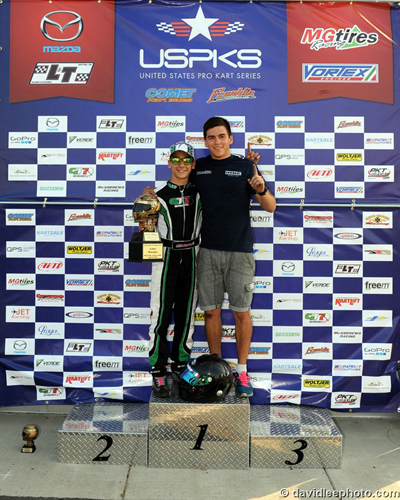 With Team USA goals set at the start of the 2015 karting season, New York resident and GT7 Motorsports pilot Anthony Gangi Jr. has achieved these with great success and will be a member of Team USA at not just one, but two international karting events. Garnering the Rotax Junior national title in early August at the Cold Stone United Sates Rotax MAX Challenge Grand Nationals and the accompanying ticket to the Rotax MAX Challenge Grand Finals in Portugal, Gangi Jr. completed the ROK Cup USA program this past weekend and secured the overall championship for the ROK Junior class, and will also join Team USA at the ROK International Final. 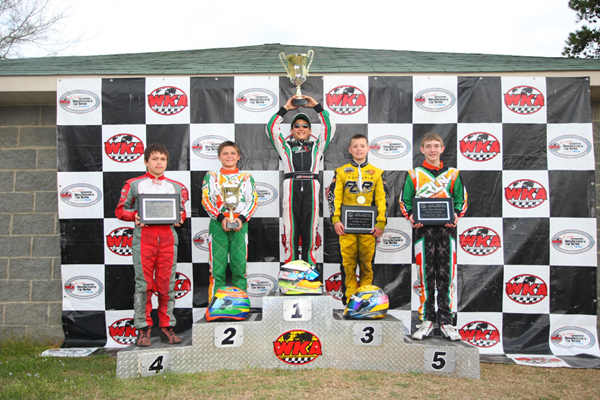 Earning victories and podium results in multiple series in 2015 to date, Anthony Gangi Jr. would look to do the same at the Superkarts! USA (SKUSA) Fikse Wheels Pro Tour SpringNationals. 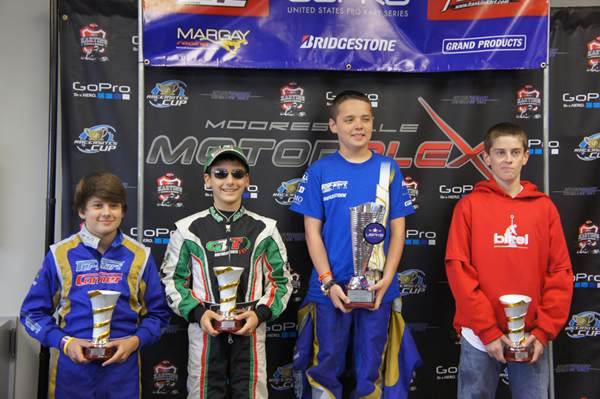 Taking to the Phoenix Kart Racing Association in Glendale, Arizona for the first stop of the 2015 Pro Tour, the GT7 Motorsports pilot made his way back onto the podium in the stout TaG Junior category. Battling blazing temperatures and high grip conditions, Gangi Jr. made the best of the situation and put himself as a frontrunner for the Fikse Pro Tour TaG Junior title. 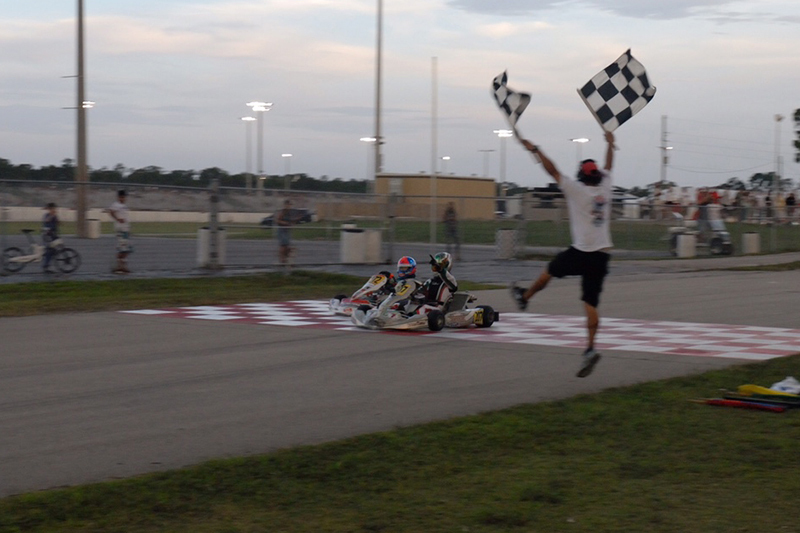 After closing out the 2014 karting season at the annual SuperKarts! USA (SKUSA) SuperNationals, New York resident and GT7 Motorsports driver Anthony Gangi Jr. would shift his focus and begin preparations for the 2015 Cold Stone Florida Winter Tour. 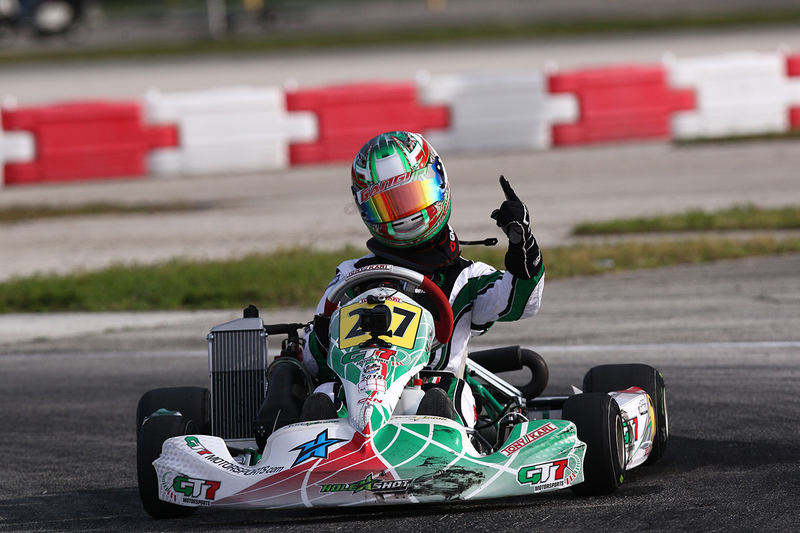 Competing in both the ROK Cup USA and Rotax MAX Challenge portions of the popular winter series, Gangi Jr. would consistently improve throughout his two weeks of on track action at the Homestead Karting facility just south of Miami, Florida. 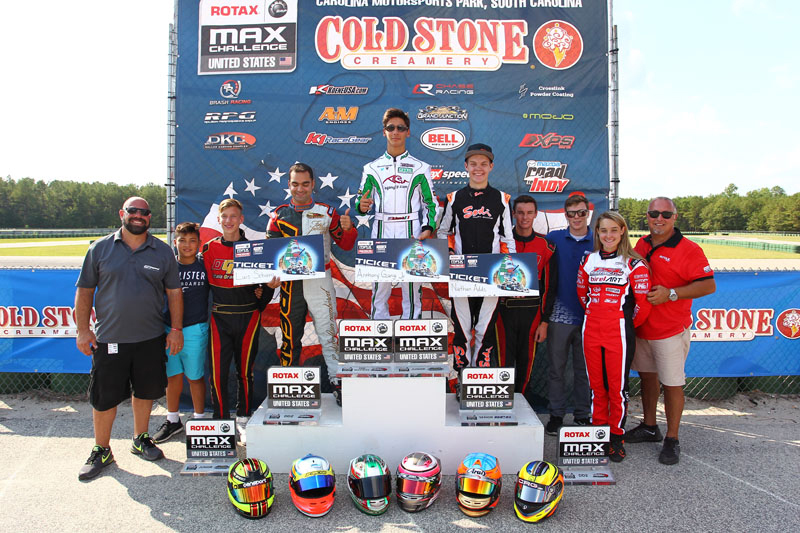 Looking to add Pan American Champion to his stout resume, top junior driver Anthony Gangi Jr. took on an international field at the 7/10-mile GoPro Motorplex in Mooresville, North Carolina for the 2014 Cold Stone Rotax Pan American Challenge. 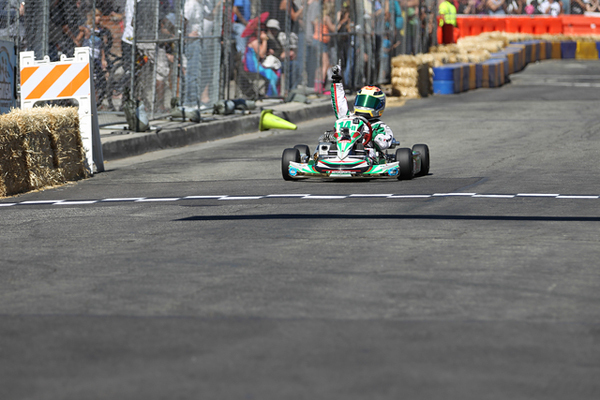 With perfect weather greeting karters, Gangi Jr. was the driver to beat until his luck came crashing down the main event. 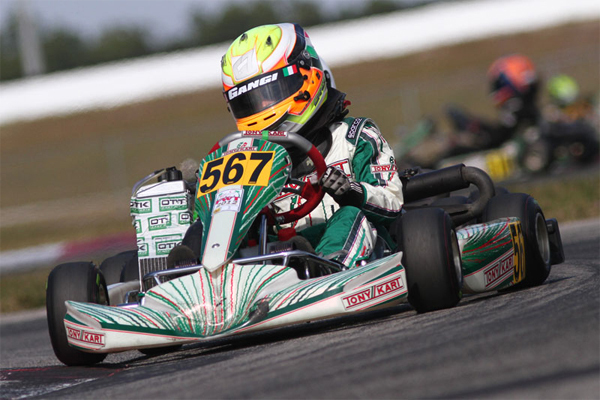 ROTAX PAN AMERICAN CHALLENGE UP NEXT FOR ANTHONY GANGI JR.
With the 2014 karting season coming to a close, up-and-coming talent Anthony Gangi Jr. has his sights set on yet another championship title. 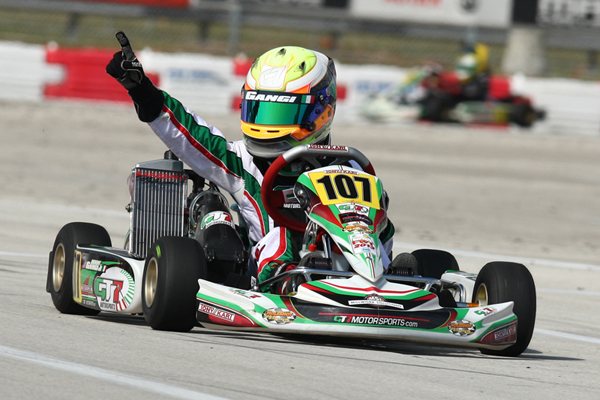 Heading to the GoPro Motorplex in Mooresville, North Carolina October 15-19 for the annual Rotax Pan American Challenge, Gangi Jr. will look to add Pan Am champion to his impressive list of accomplishments. 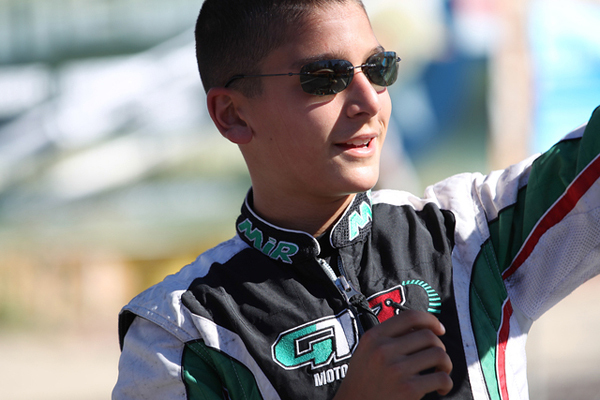 Picking and choosing larger race events to attend across the United States, GT7 Motorsports pilot Anthony Gangi Jr. put the United States Pro Kart Series (USPKS) near the top of his list for 2014. After a successful rookie season by the east coast series, bigger teams and top drivers from across the country would contend the sophomore season and compete for the overall series crown. 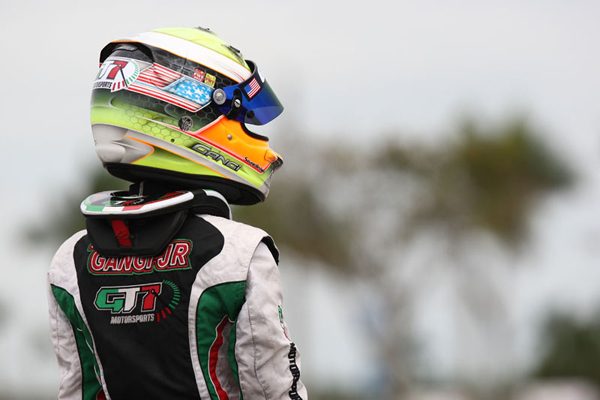 Set to do battle in the Leopard 125 Junior ranks, Gangi Jr. would end his 2014 USPKS season with one victory and four trips to the podium, ultimately claiming a third place result in the end of the year championship chase. Coming off his huge victory at the Cold Stone US Grand Nationals in mid-July, Dylan Tavella would recently claim two additional championship titles. 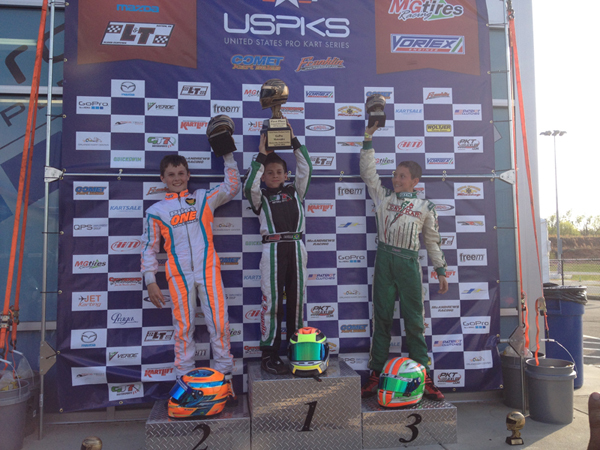 Adding 2014 United States Pro Kart Series (USPKS) Mini ROK and Yamaha Cadet champion, along with numerous podium results and race wins to his already stout resume, the young and talented Tavella will be hard to beat for the remainder of 2014. 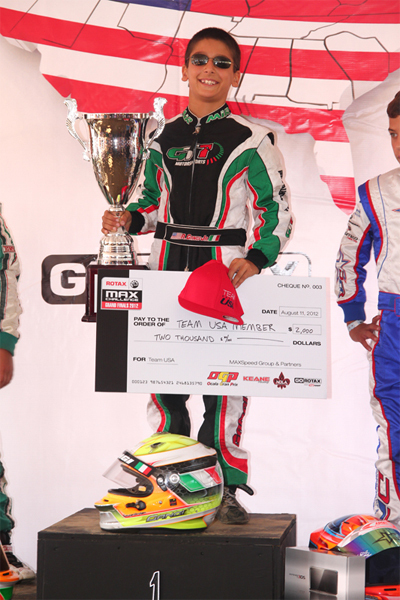 Always a threat to stand atop the podium, GT7 Motorsports driver Dylan Tavella did not disappoint this past weekend. 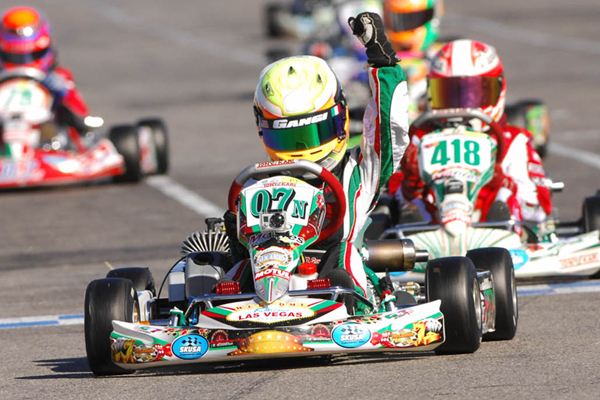 Competing at the Miller Motorsports Park in Tooele, Utah, Tavella would reign supreme in the Rotax Mini Max division as he claimed the 2014 Cold Stone US Grand Nationals Rotax Mini Max national championship, his second national title in as many seasons. Showing speed and poise throughout the weekend, Tavella secured the victory with a bold last lap pass. 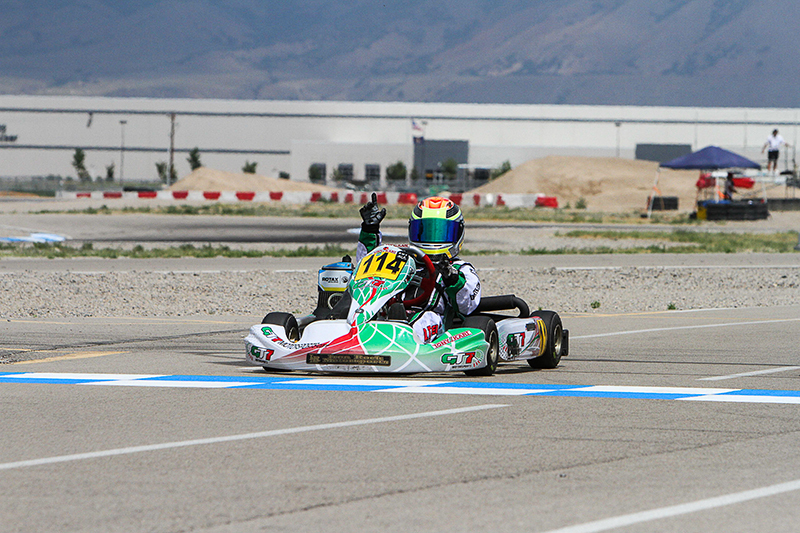 Descending on the Miller Motorsports Park in Tooele, Utah for the annual Rotax Summer Shootout, GT7 Motorsports driver Anthony Gangi Jr. looked to stand on the top of the podium. 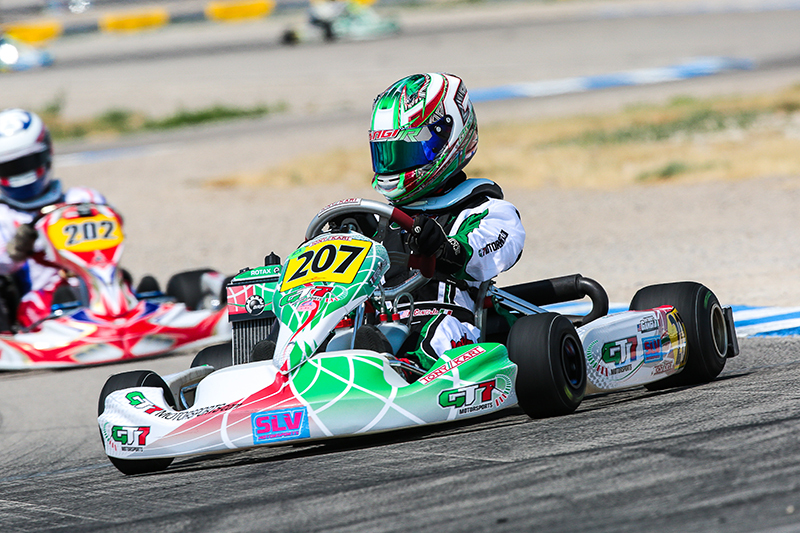 In the hopes of carrying momentum and experience into the Cold Stone US Grand Nationals this coming week, Gangi Jr. would never run outside the top-five all weekend long and secured two podium results including a victory in Saturday’s Rotax Junior main event. 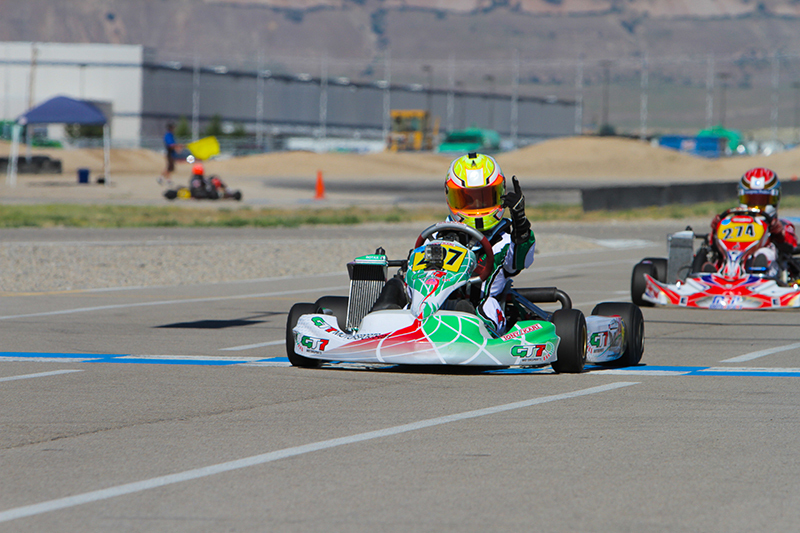 Dubbed as the unofficial tune up to the Cold Stone US Grand Nationals, a host of talented and fast drivers would descend on the Miller Motorsports Park for the annual Rotax Summer Shootout this past weekend. Utilizing the same layout as the Grand Nationals will run in only two weeks time, drivers would be able to test their equipment in race conditions in the hot and dusty Utah desert. In a continued effort to highlight the many outstanding performances by drivers around the country, eKartingNews.com is proud to introduce the 'Driver of the Month' program. 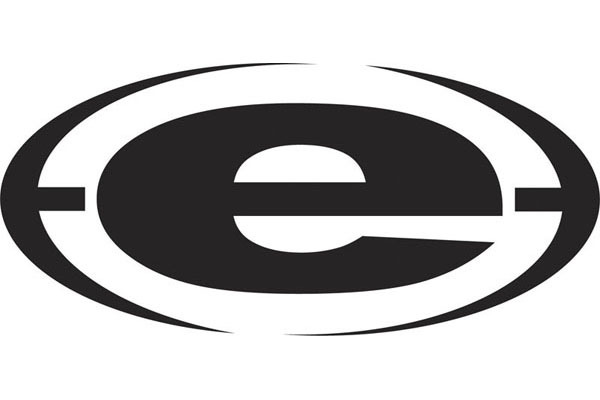 Each month, the staff at EKN will determine the one driver who stood out above the rest and give the viewers a chance to know exactly what they accomplished and who they are. 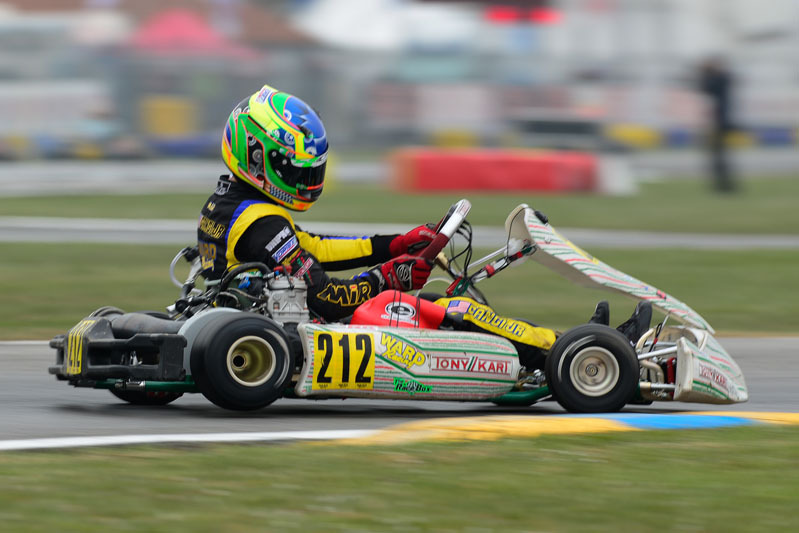 Contesting his first full season in the junior karting ranks, multi-time champion Anthony Gangi Jr. is making strides in the ultra-competitive Rotax Junior class. 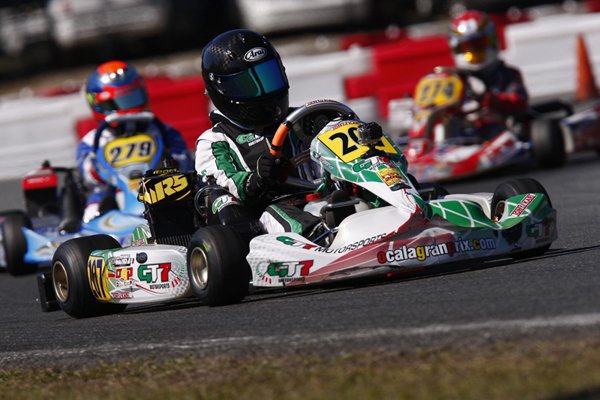 Taking on the tight and twisty Ocala Gran Prix (OGP) facility in Ocala, Florida for rounds three and four of the prestigious Formula Kart Productions Florida Winter Tour (FWT), the young gun would leave with two respectable top-ten results. 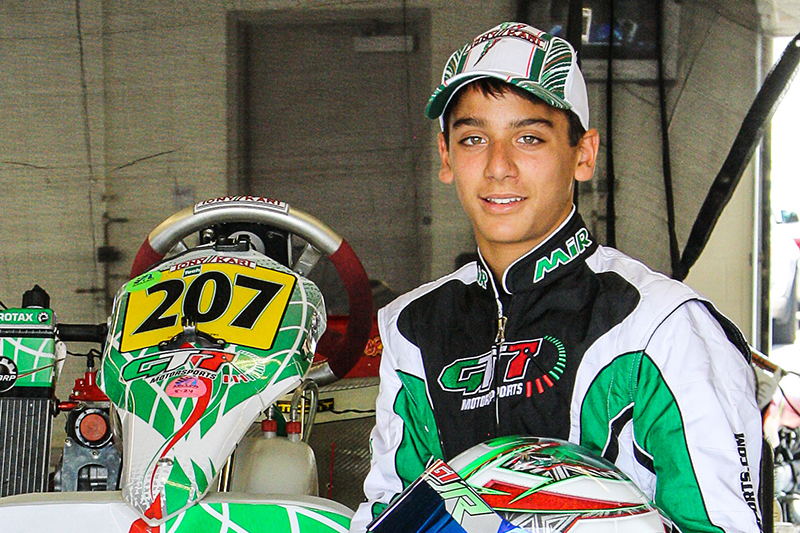 After a successful 2013 karting season, GT7 Motorsports pilot Anthony Gangi Jr. is set to make his mark in the junior ranks during 2014. 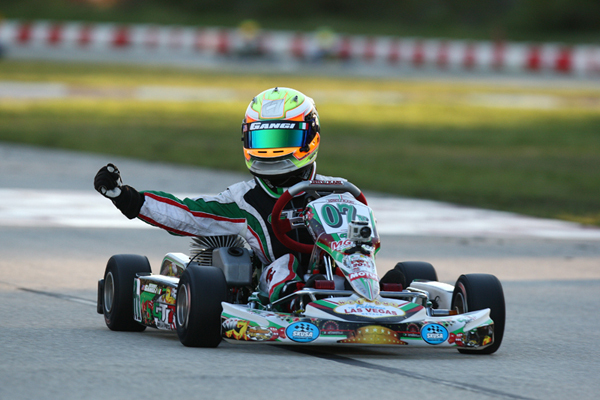 Kicking off his season at the Rotax weekend of the annual Formula Kart Productions Florida Winter Tour (FWT) January 16-19 at the Homestead Karting Complex, the rising talent will look to carry the momentum from his numerous wins and championships during 2013. 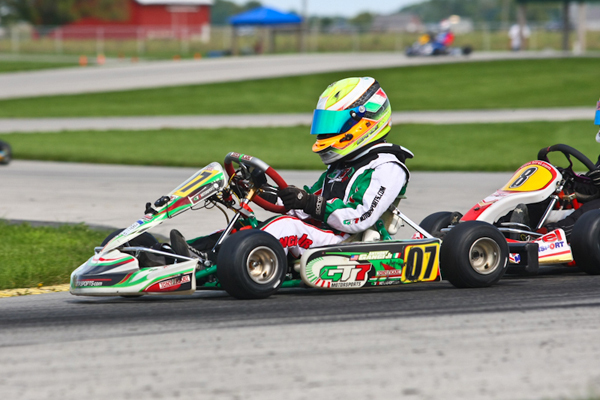 GT7 Motorsports pilot Dylan Tavella continues to roll through the 2013 kart season, adding major race wins and accomplishments along the way. 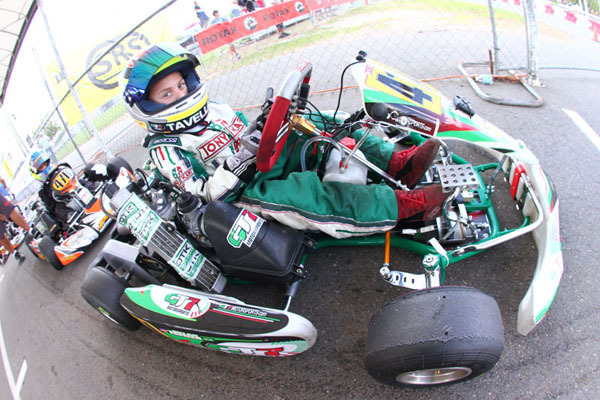 Most recently, the New York resident added the Rotax Micro & Mini Invitational championship title to his already impressive resume, and the young talent now has his sights set on the SuperKarts! 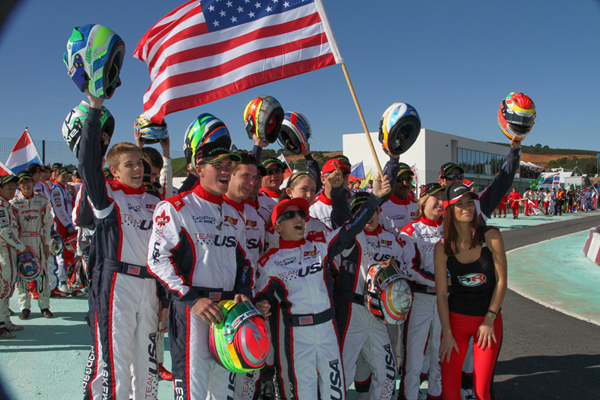 USA (SKUSA) SuperNationals this coming weekend in Las Vegas, Nevada. Heading into the 2013 Superkarts! USA (SKUSA) SuperNationals, GT7 Motorsports driver Anthony Gangi Jr. will look to make a mark in his rookie junior season. Coming home as the 2012 victor in the TaG Cadet ranks, Gangi Jr. has the necessary knowledge, skills and experience to tackle the challenging temporary parking lot course at the Rio All-Suite Hotel and Casino in Las Vegas, Nevada. 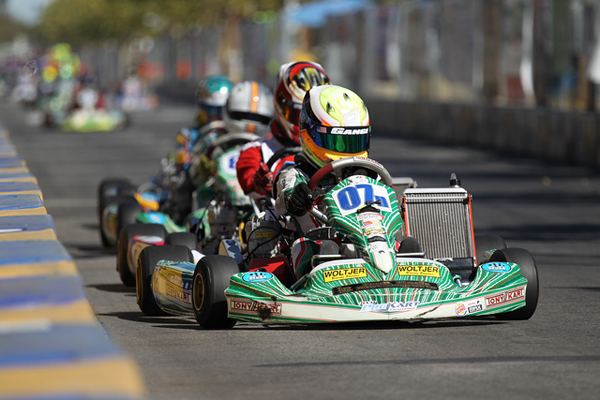 The 2013 edition of the event will see a new challenge for the Tony Kart pilot, as the junior rookie will compete against a talent-laden field of over 60 TaG Junior pilots in his quest for another SuperNats victory. 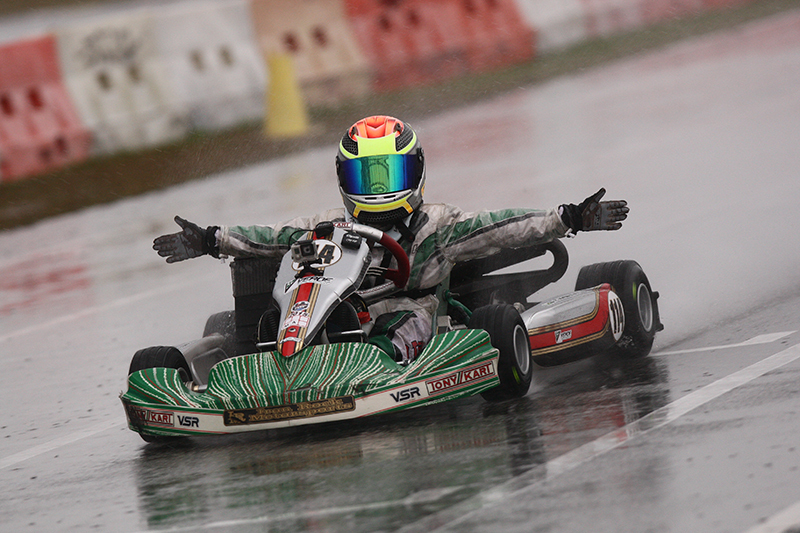 After dominating the fifth round of the SuperKarts! 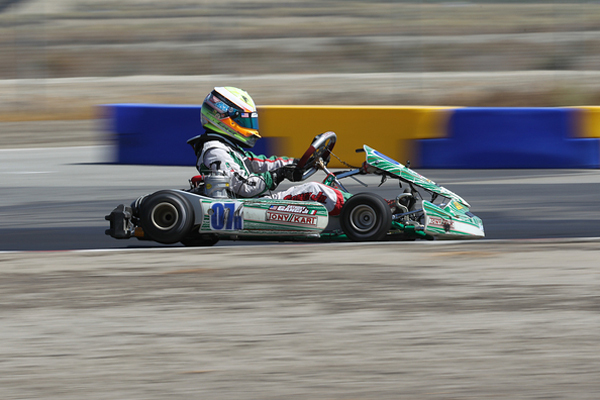 USA (SKUSA) California ProKart Challenge event in Buttonwillow a few weeks ago, New York resident Anthony Gangi Jr. would travel back across the United States to the West Coast to compete in the annual SKUSA Streets of Lancaster Grand Prix. 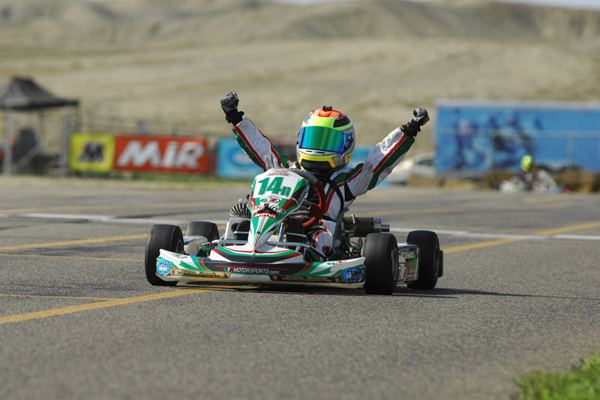 Quickly becoming one of North America's premiere karting events as well as a tune-up race for the upcoming SuperNationals, Gangi Jr. would claim top honors in the TaG Junior division as he went on to take the win during the California PKC series finale. Taking in some testing for the upcoming SuperKarts! 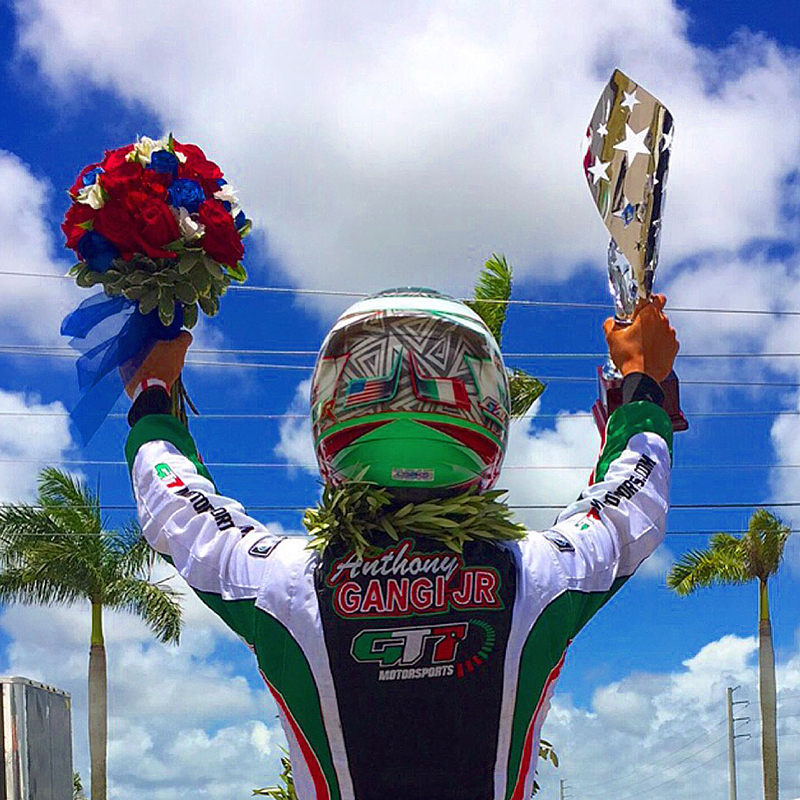 USA (SKUSA) SuperNationals, multi-time karting champion Anthony Gangi Jr. would turn some heads while racing on the west coast. 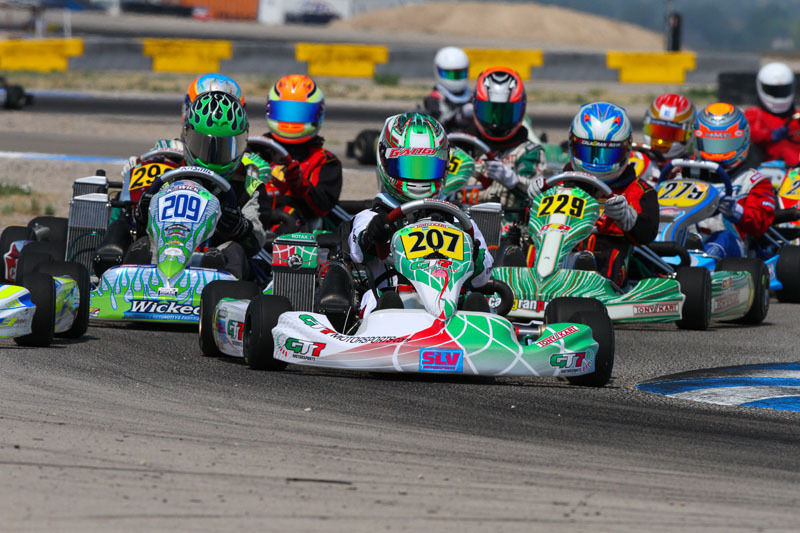 Contesting the SKUSA California ProKart Challenge (PKC) Round #5 at Buttonwillow Raceway in Buttonwillow, California, Gangi Jr. would dominate the TaG Junior class, sweeping the day's events at the 7/10-mile Southern California facility. Recently joining forces with Whisler Racing Services' AJ Whisler, the duo was unstoppable during the September 6-7 event. Coming off a huge weekend at the SuperKarts! 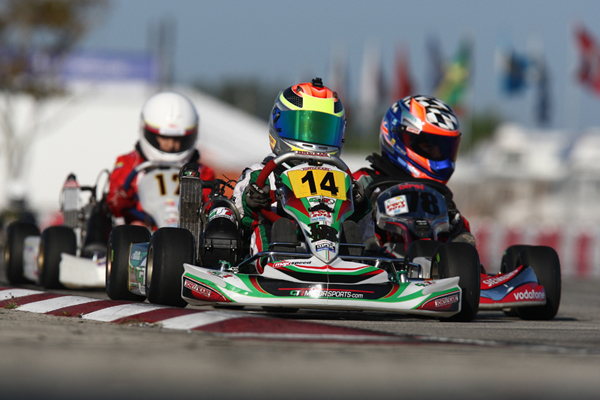 USA SummerNationals, where he left with two main event victories, rising star Dylan Tavella would carry his momentum into the 2013 Rotax Max Challenge United States Grand Nationals. 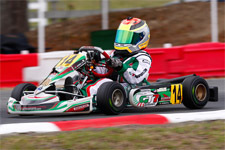 Taking on the ultra-competitive Micro Max division at the GoPro Motorplex in Mooresville, North Carolina, Tavella would achieve his goal of becoming a US Rotax Grand National Champion. 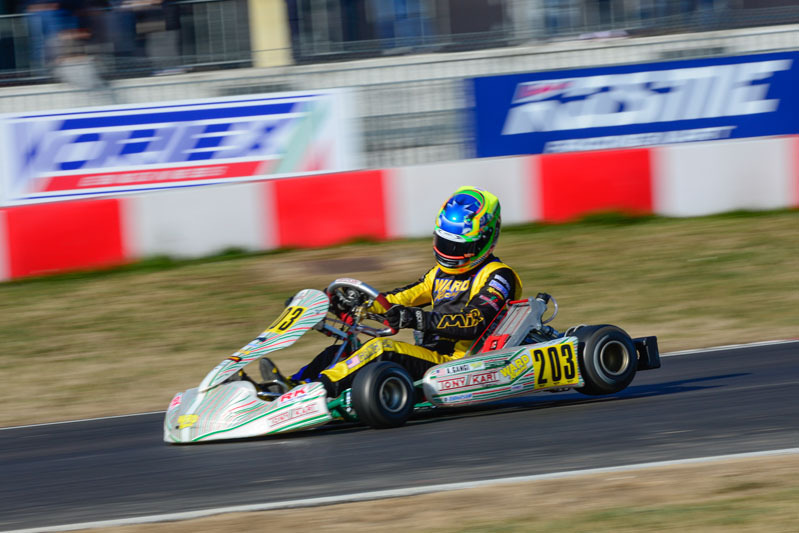 Racing at the pointy end of the field the entire event, Tavella's hard work paid off as he earned the biggest title of his young career and a trip to the Rotax Max Challenge Grand Finals for the Micro & Mini Invitational. Making his first start in the SuperKarts! 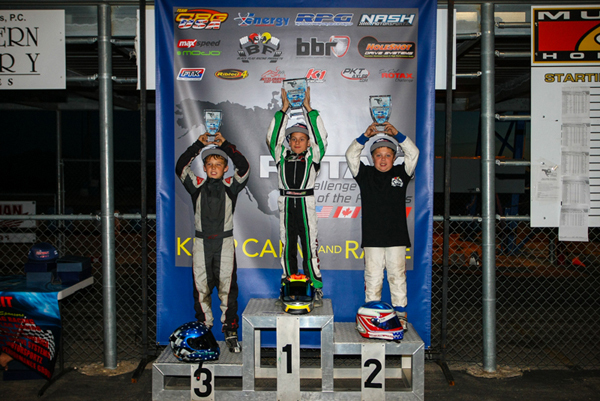 USA (SKUSA) SummerNationals, rising star Dylan Tavella was the pilot to beat in the TaG Cadet category. 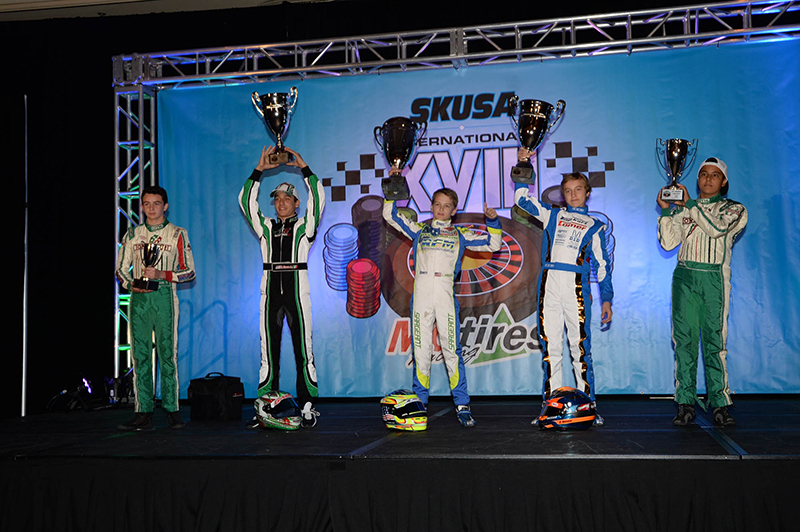 Taking on the 9/10-mile Grand Junction Motor Speedway in Grand Junction, Colorado for the second stop of the SKUSA Pro Tour, the New York state resident bagged one pole position, two heat race wins and two final victories against a stout field of 35 TaG Cadet competitors. 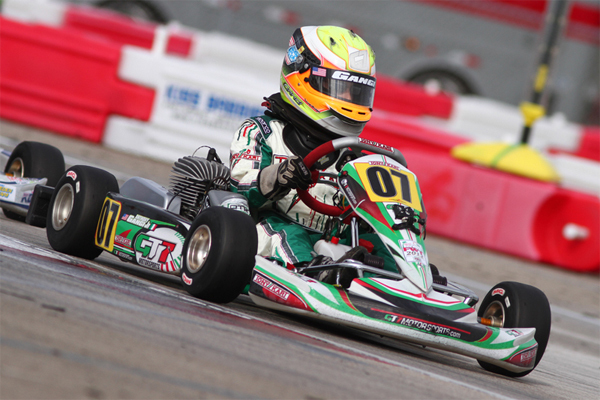 After a stellar first quarter of the 2013 karting season in the cadet karting ranks, standout driver Anthony Gangi Jr. would make his junior class debut this past weekend. 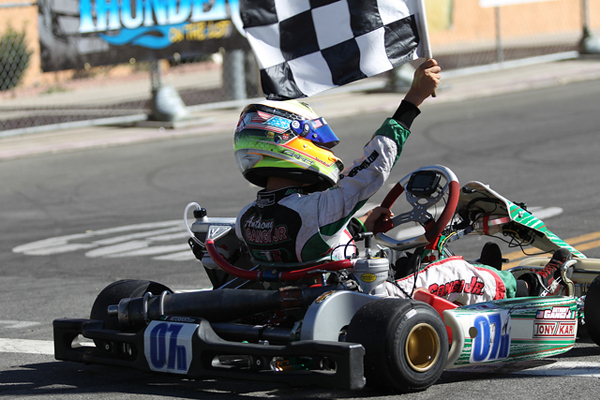 Taking on a brand new series, the United States Pro Kart Series (USPKS), as well as a brand new class, the young gun was able to excel against a new set of drivers in the Yamaha Junior category. 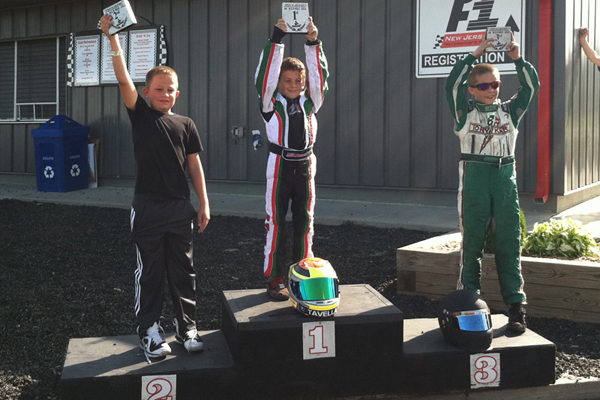 Earning a pole position, a heat race win and two podium results, Gangi Jr. showed he has what it takes to compete. With the annual Florida Winter Tour ending in March and the cold winter months finally breaking in his home state of New York, up and coming superstar Dylan Tavella would head south for some wheel-to-wheel action. 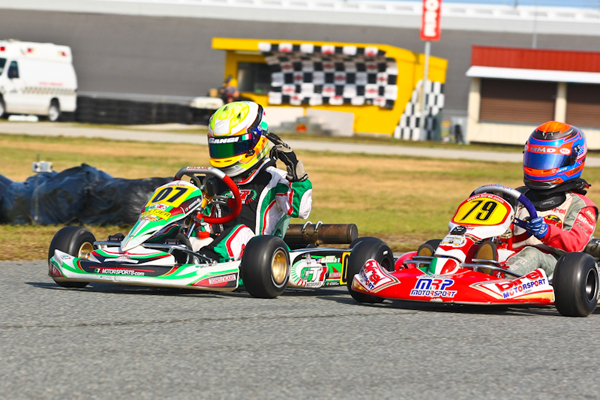 With several national events held at the new Mooresville Motorplex (MMX) facility in Mooresville, North Carolina, Tavella would see action on three separate occasions at the new facility, as he would compete in some regional karting events as a tune up for his national campaign. 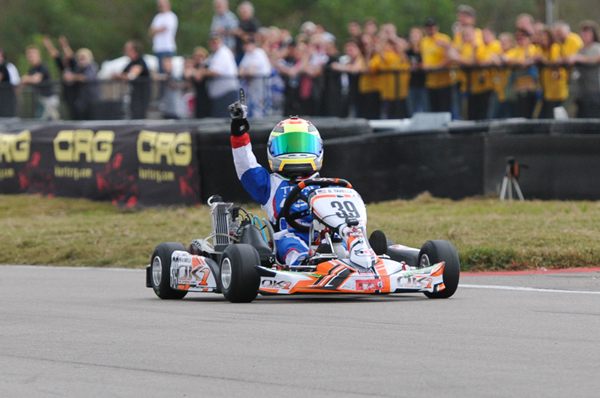 Completing his first series of the 2013 karting season, Dylan Tavella continued to post some impressive results during the finale rounds of the Formula Kart Productions Florida Winter Tour (FWT). 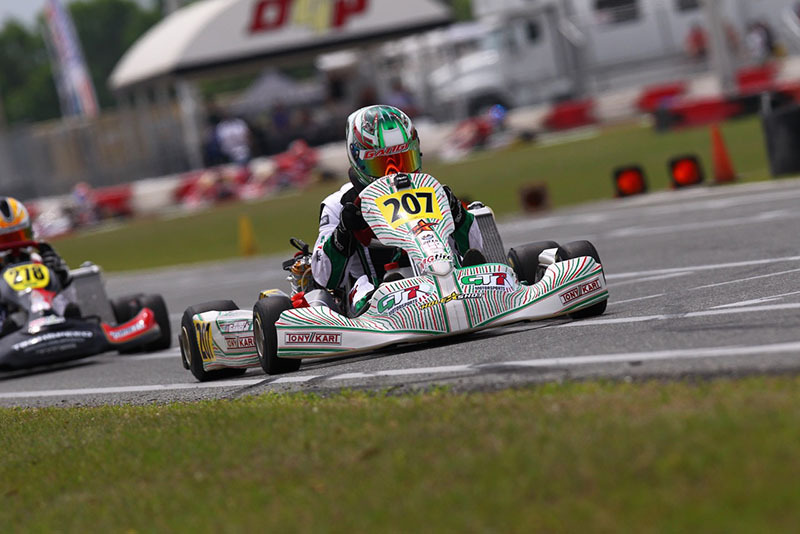 Taking on the tight and twisty Ocala Gran Prix facility in Ocala, Florida for back-to-back weekends in both the TaG Cadet and Rotax Micro Max categories, Tavella has laid the foundation for what is sure to be a successful rest of the year. 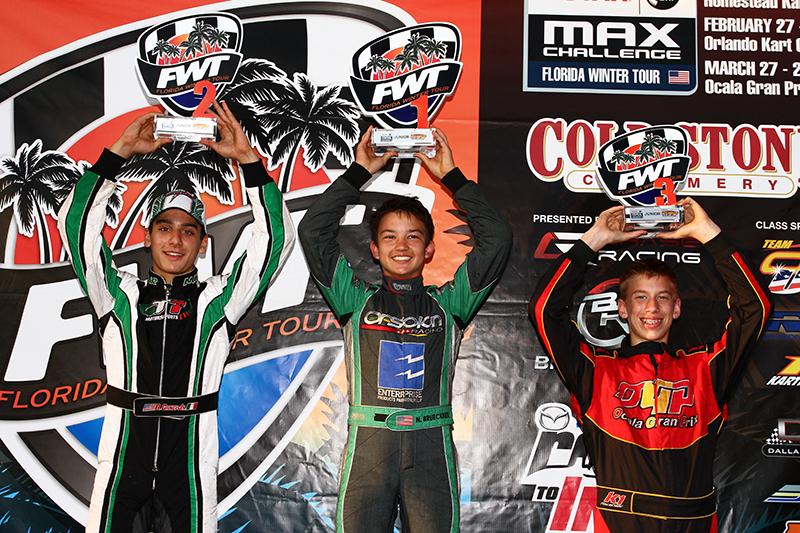 Starting out his 2013 karting campaign with a podium at the Formula Kart Productions Florida Winter Tour (FWT) Rotax opener in January, rising karting star Dylan Tavella added his first win of the season this past weekend. 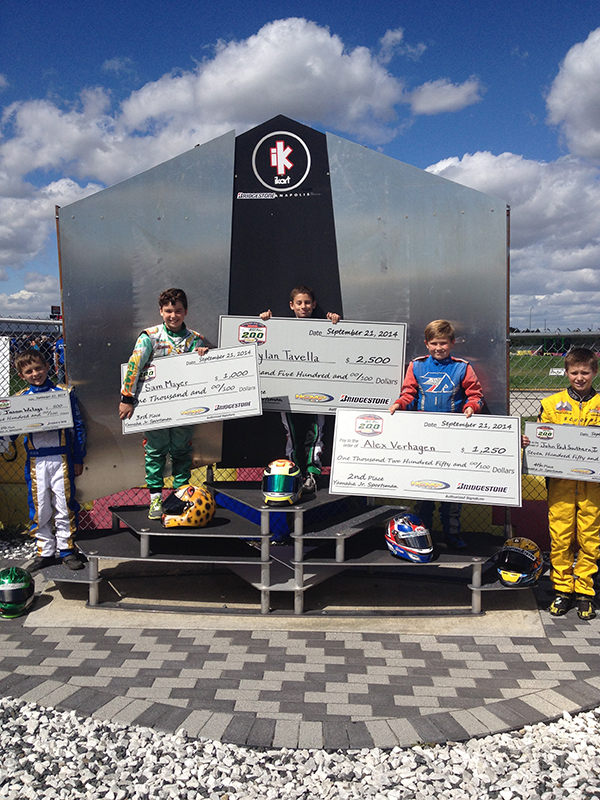 Taking to the Homestead Karting Complex for back-to-back events, the GT7 Motorsports/Tony Kart pilot made a trip to podium presentations during both event weekends. 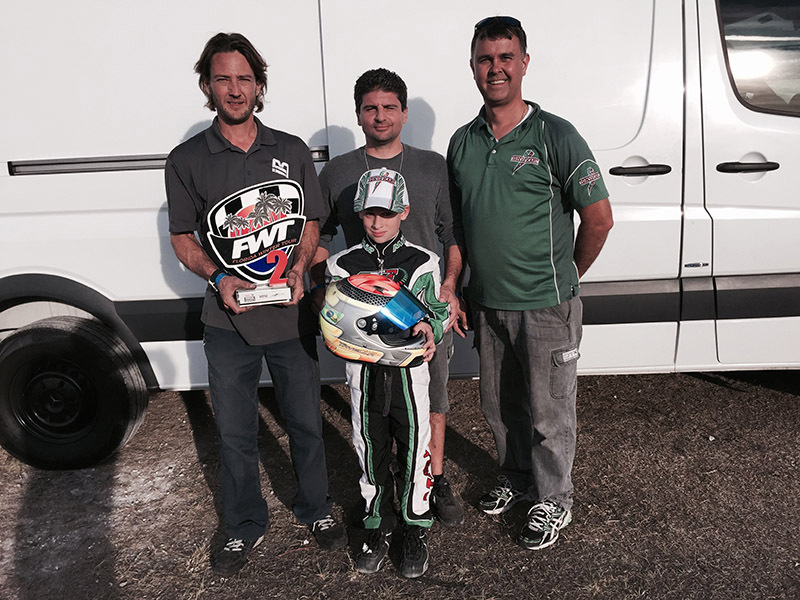 Working with Bob Radivoy and new coach Charlie Swayne, the trio proved to be a potent combination in the Vortex TaG Cadet class as well as the Rotax Micro Max category. 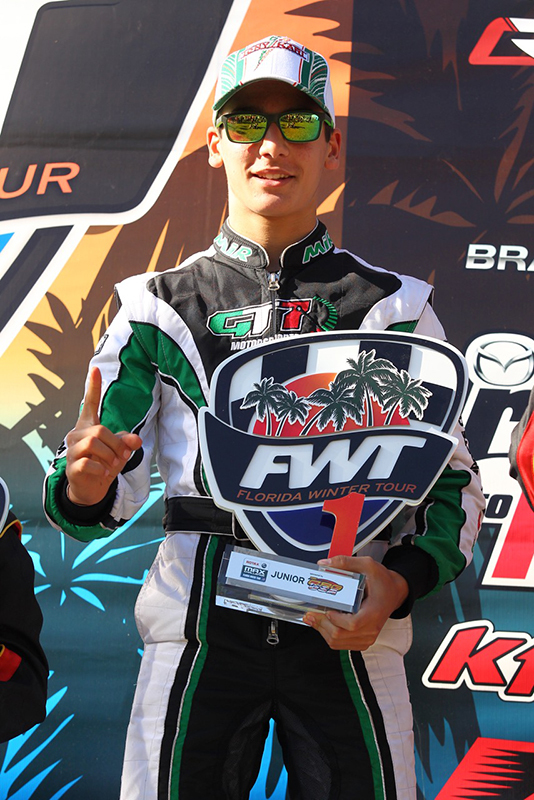 After sweeping both finals during the opening weekend of the Formula Kart Productions Florida Winter Tour (FWT) in West Palm Beach, rising star Anthony Gangi Jr. will be back in action this weekend. 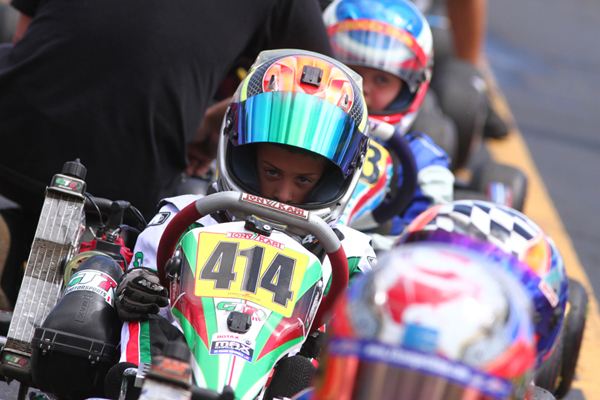 Heading to the Homestead Karting Complex, located on the grounds of the hallowed Homestead-Miami Speedway, Gangi Jr. will be gunning for more victories in the Vortex TaG Cadet category. Proving to be hard to beat, the Brookville, New York resident is certain to be on his game at the 7/10-mile permanent sprint circuit. 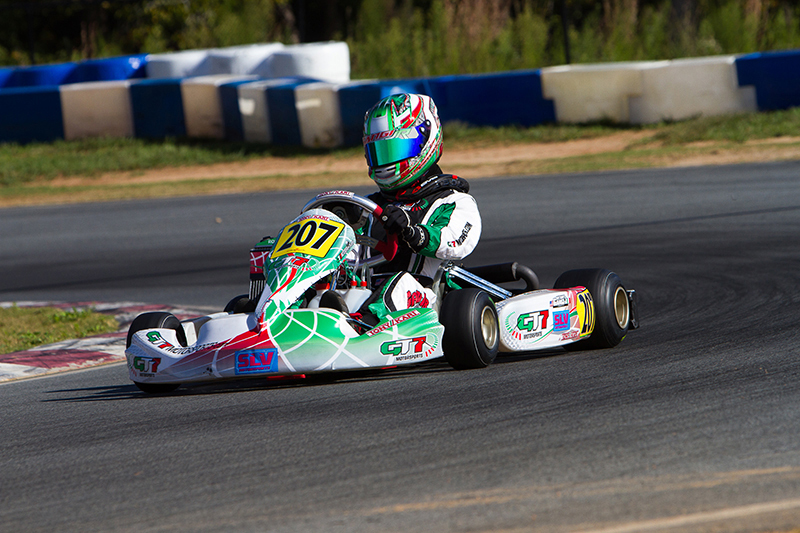 After a breakout year in 2012, ten-year-old Dylan Tavella recently began his 2013 karting campaign. 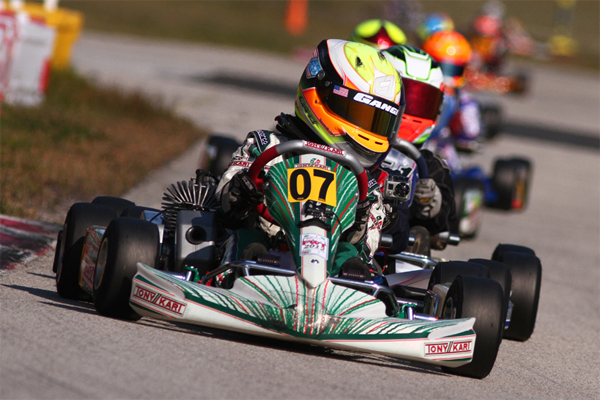 Taking on the demands of the ultra-competitive and popular Formula Kart Productions Florida Winter Tour (FWT) for the opening Rotax weekend, the up-and-coming driver would be near the top of the time sheets of the Rotax Micro Max class throughout the event. The GT7 Motorsports/TonyKart entry proved potent, as Tavella battled back from adversity on multiple occasions and left with a podium trophy in hand. 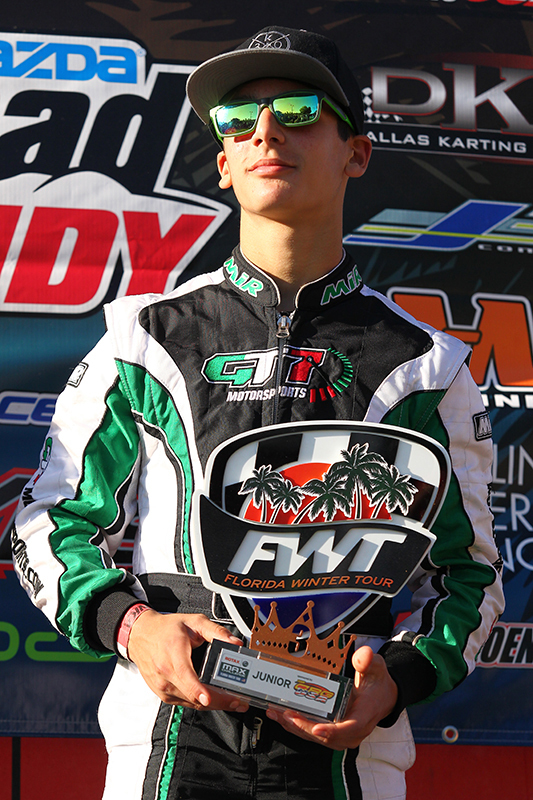 With two victories already secured during 2013 competition to date, Anthony Gangi Jr. would prove to be hard to beat during the opening weekend of the Florida Winter Tour (FWT). 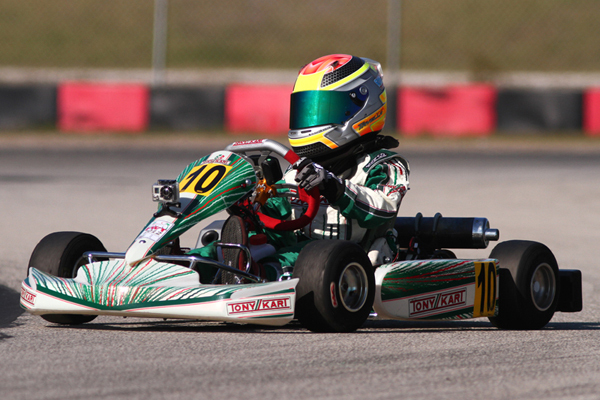 Heading to the Palm Beach International Raceway (PBIR) in Jupiter, Florida for the first Formula Kart weekend of the FWT, Gangi Jr. would rise to the occasion against 40+ competitors in the Vortex TaG Cadet category. 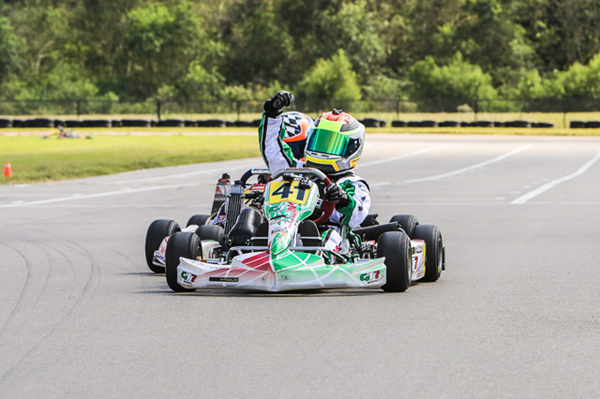 After a win in the final FWT round last year, as well as a third place finish in the overall points to start a stellar 2012 season, the GT7 Motorsports/Tony Kart pilot picked up right where he left off for the start of 2013 action. 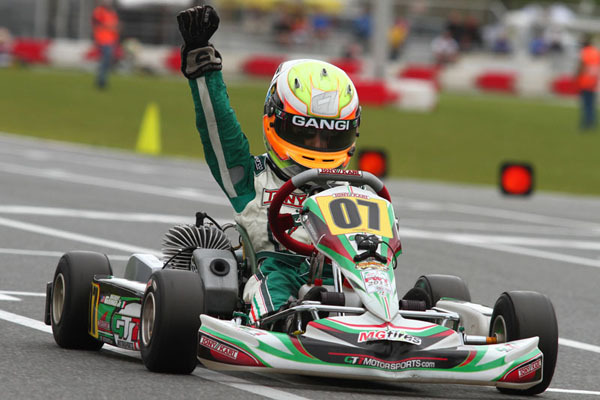 After an incredible 2012 season that saw Anthony Gangi Jr. score some of the biggest wins of his karting career, the young gun started off 2013 just where he left off. 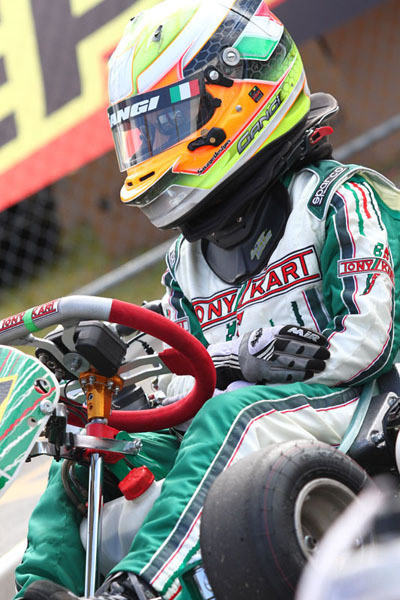 Taking on five classes over two days of competition during the first round of the World Karting Association (WKA) Manufacturer's Cup just after Christmas, the GT7 Motorsports/Tony Kart pilot drove away with two wins and an additional two podium finishes. 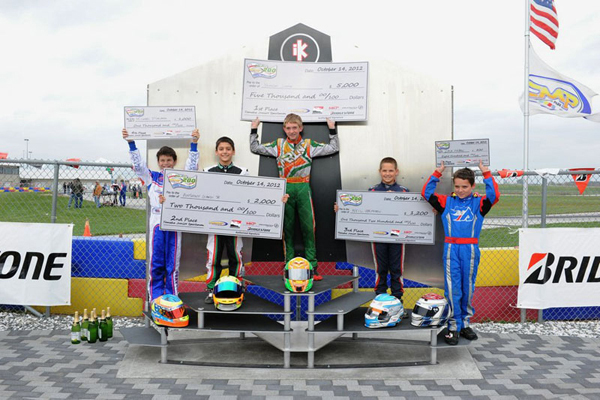 Held at the hallowed Daytona International Speedway in Daytona Beach, Florida, Gangi Jr. turned heads during the annual KartWeek festivities and will look to continue his momentum as he delves further into 2013. Heading to Las Vegas, Nevada looking to win big, GT7 Motorsports team driver Anthony Gangi Jr. hit the jackpot. Taking on the ultra-competitive TaG Cadet class at the 16th running of the Superkarts! USA SuperNationals at the Rio All Suite Hotel & Casino, Gangi Jr. would reign supreme against a field of 68 competitors and come home with the biggest victory of his young career. 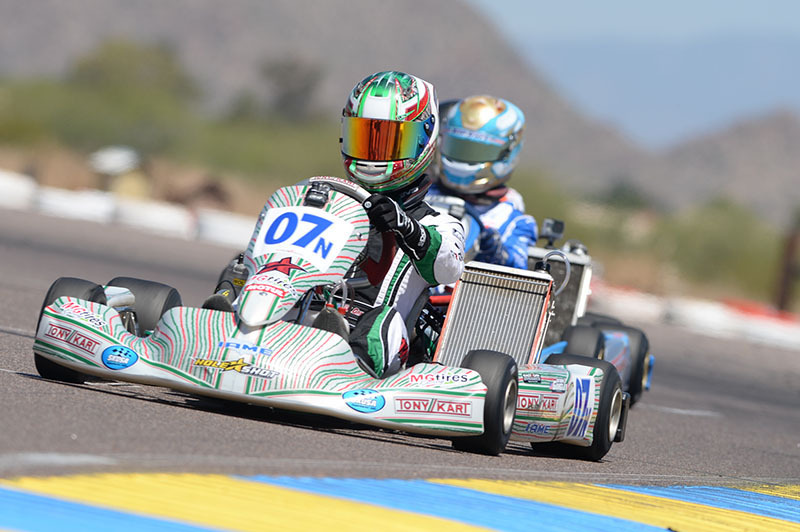 Taking on the international competition of the Pan American Rotax Max Challenge at The Track at Centennial, GT7 Motorsports pilot Dylan Tavella would leave the Micro Max champion. 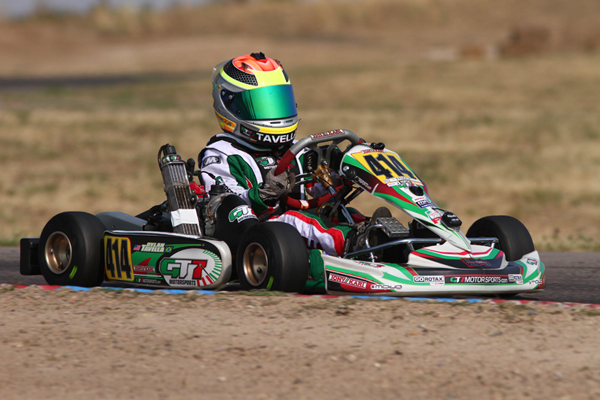 Mastering the 0.8-mile, 21-turn Englewood, Colorado facility, Tavella would take the competition by storm in his GT7/Tony Kart to take the prestigious Micro Max title. 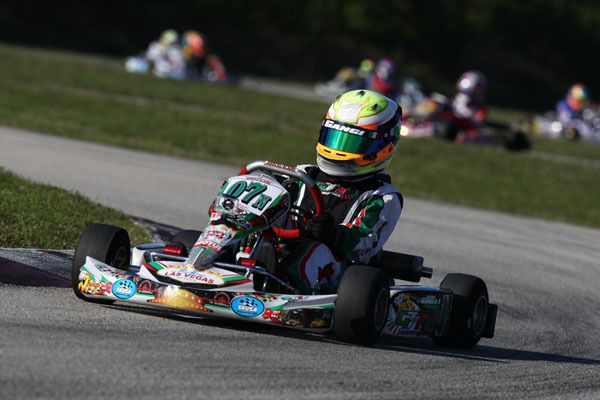 Wrapping up his 2012 World Karting Association (WKA) Manufacturer’s Cup program, Anthony Gangi Jr. would head to the New Castle Motorsports Park facility in New Castle, Indiana for the finale round this past weekend. 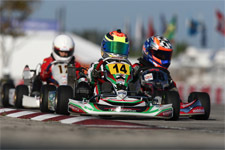 Taking on the competitive Cadet Junior Sportsman class on both Saturday and Sunday, the GT7 Motorsports/Tony Kart pilot would show speed to run at the front of the 23-kart pack, but difficulties in both finals stripped the 2012 United States Rotax Mini Max National Champion of the elusive race wins. 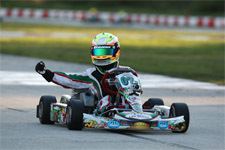 After a whirlwind summer, GT7 Motorsports pilot Anthony Gangi Jr. is ready to take on his biggest karting event to date in 2012. 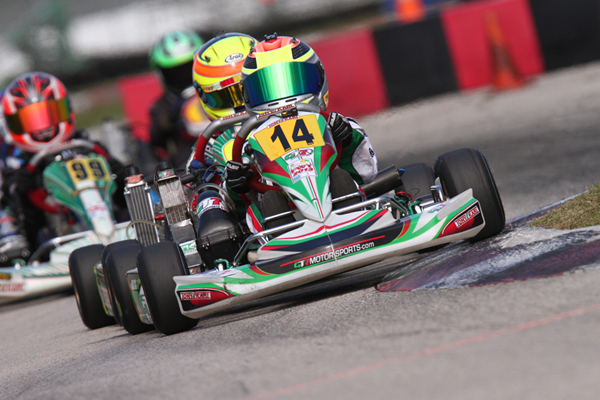 Crisscrossing the eastern US over the past couple of months, Gangi Jr. took in the World Karting Association Manufacturer's Cup KartLift Nationals this past weekend at the Concept Haulers Motor Speedway in Norway, Illinois. 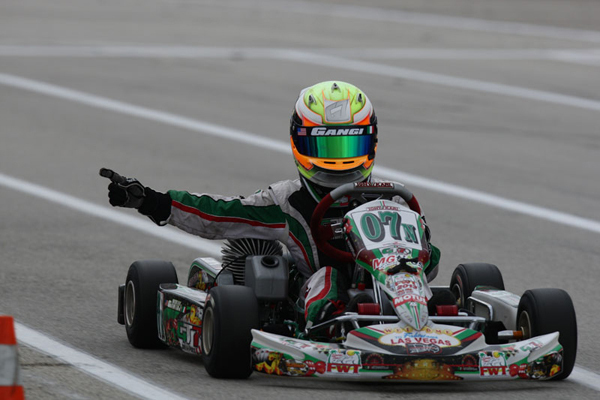 Making a quick turnaround after the weekend's activities wrapped, Gangi Jr. and his GT7 Motorsports crew made the three hour trek east to South Bend, Indiana for this week's 2012 Rotax Max Challenge United States Grand Nationals. 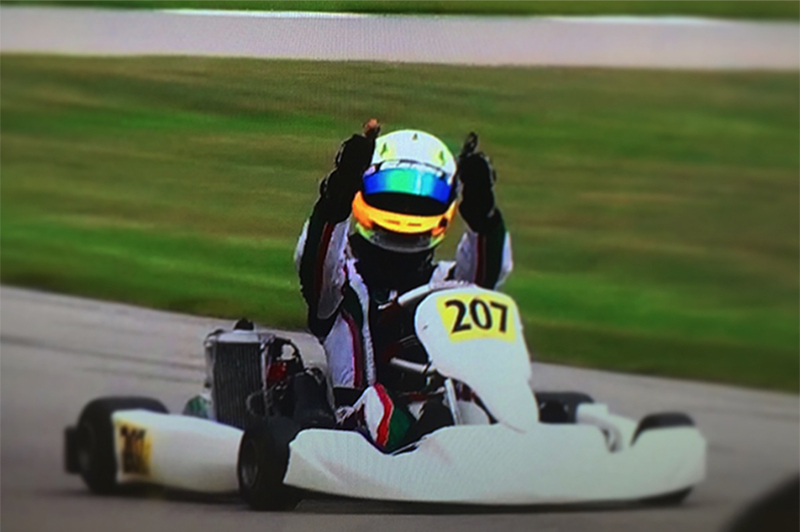 The busy and talented karter will look to conquer the 11-turn, 0.74-mile Jet Karting of Michiana Raceway Park circuit and improve upon his two top-five finishes earned at this past weekend's WKA action. AUTOSPORTS MEDIA GROUP UNVEILS NEW ONLINE PRESENCE FOR ANTHONY GANGI JR.
Autosports Media Group, along with GT7 Motorsports pilot Anthony Gangi Jr., are proud to announce the launch of Gangi Jr.'s new online presence, www.GangiJr.com. 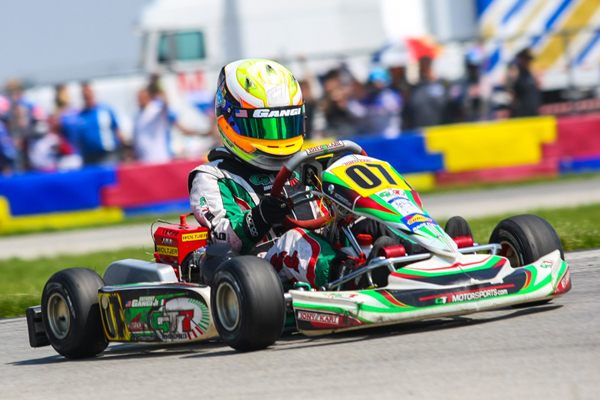 Gearing up for one of North America's biggest karting events, the US Rotax Max Grand Nationals, the launch of Gangi Jr.'s new site comes as the rising star is set to take the national stage. 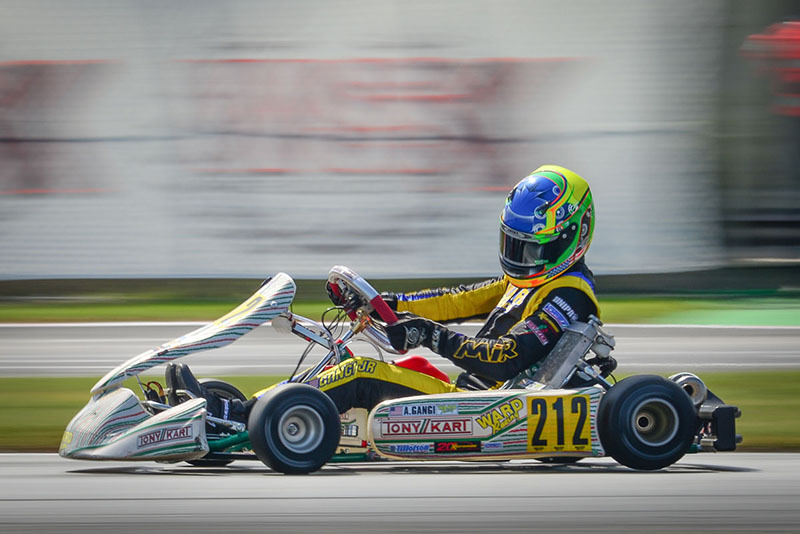 Anthony Gangi Jr., a member of the GT7 Motorsports kart racing team, will head not too far from home as he makes the trip to the rolling hills of Pennsylvania, just west of his New York City home. This weekend marks the start of the next phase of the 2012 calendar for the talented 10-year-old racer as he takes in the opening weekend of the Great Lakes Sprint Series, being held at the beautiful Pittsburgh International Race Complex (formerly BeaveRun Motorsports Complex) near Wampum, PA. Gangi Jr. will be joined by tuner Chris Perez as the duo run their potent Tony Kart Cadet in the always-tough Comer Cadet class. Gangi Jr. will be looking to extend his winter season program success into the second half of what will be another busy year criss crossing the United States. 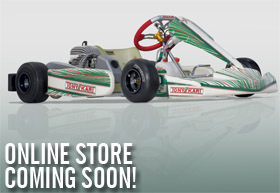 The GT7 Motorsports team continues to grow in 2012 and is expanding their Tony Kart program through out the US Northeast. 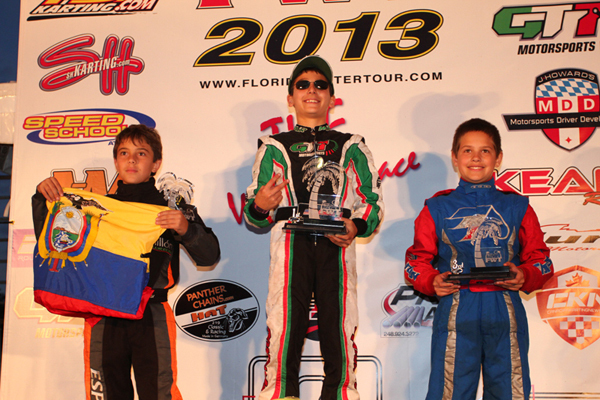 Anthony Gangi Jr., a member of the GT7 Motorsports kart racing team, wrapped the 2012 Florida Winter Tour Vortex TaG Cadet Championship with a stellar weekend of racing as he took his maiden win in the TaG Cadet Mini Rok class. Running at the top of the time sheets throughout the weekend, Gangi Jr. needed a solid weekend to vault himself into championship contention. Laser focused, the entire GT7 Motorsports team worked the weekend program and achieved their goal. 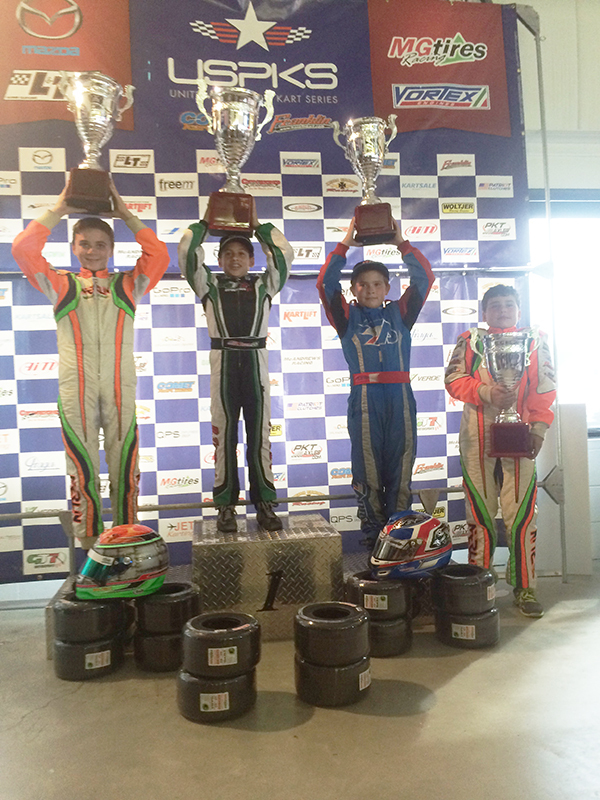 The result of all the hard work was two podiums and moving into the third place in the final standings. The GT7 Motorsports team enjoyed a special guest on the weekend as Daniel Lambert of Sargeant Motorsports joined the team to provide engine-tuning support. 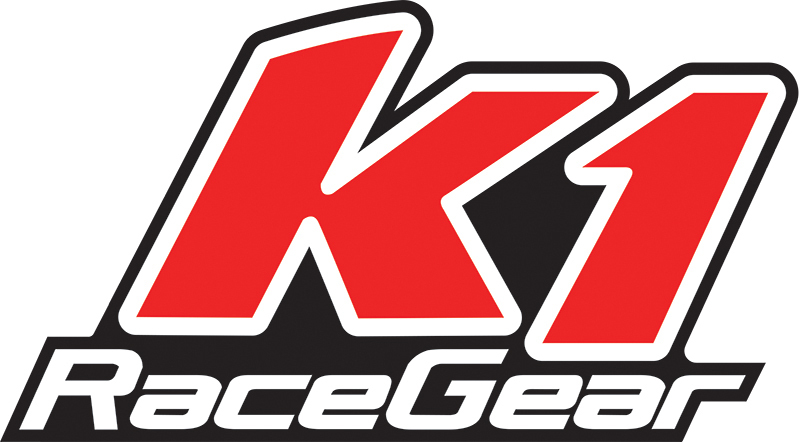 Anthony Gangi Jr., a member of the GT7 Motorsports kart racing team, endured an up and down weekend as he we worked through mechanical problems and was caught up in another marshalling error. The multi-time champion headed into the weekend looking to make a move in the championship points tally and secure his position in the title fight. 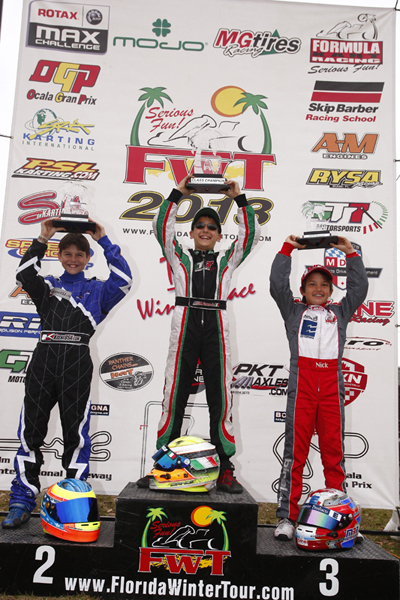 Anthony Jr. worked throughout the weekend with tuners Chris Perez and Gary Willis, as the trio looked to hit the podium for the first time in the FWT Mini Rok class. Needing to make passes in every session, Gangi Jr. continued to charge forward every lap as he circulated the challenging permanent parking lot circuit. 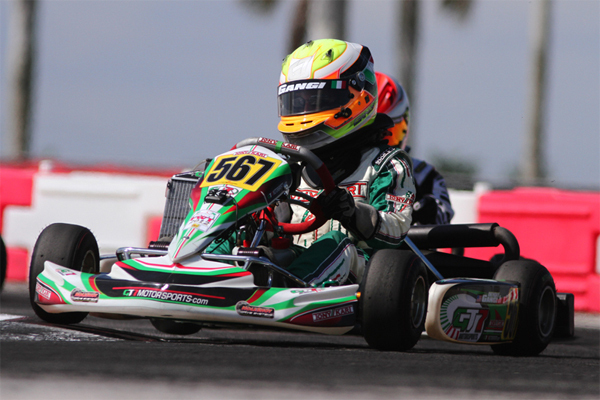 GT7 Motorsports, along with team driver Dylan Tavella, will look to keep their momentum moving forward as Tavella makes his first trip to the Homestead Karting Complex located just outside Miami, Florida. 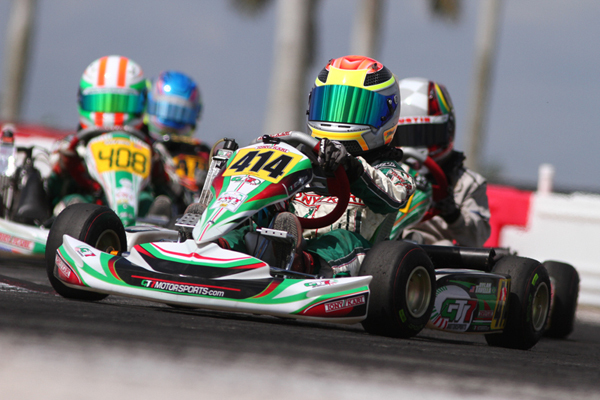 Tavella's last outing in the Florida Winter Tour was the Micro Max weekend at Palm Beach International Raceway were the New York state driver scored double podiums while running at the front throughout the event. 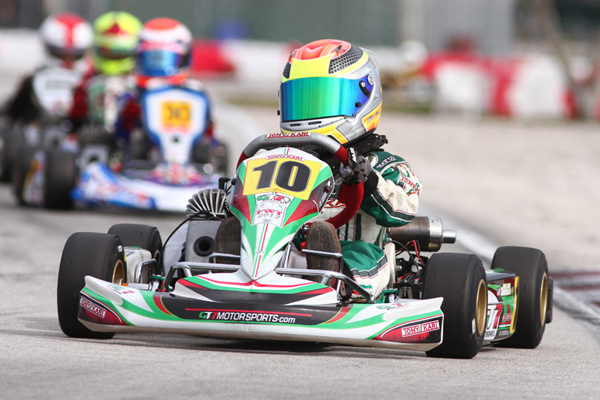 Tavella and tuner Bob Radivoy will use this weekend of Vortex Mini Rok racing as a tune up for the Rotax Max program taking place at Homestead the following weekend. 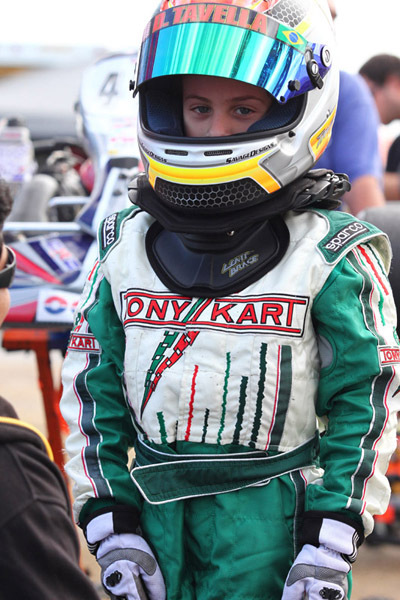 Tavella has been adjusting well to the new Tony Kart cadet package that he debuted at the opening round of the FWT in the Mini Rok class. 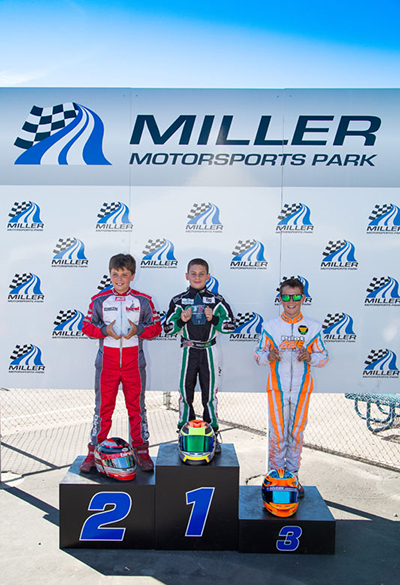 The nine-year-old racer is building a strong resume very quickly and will be joined by fellow GT7 drivers in the Mini Rok class. Heading to Homestead for the first time can be a tough challenge but Tavella is confident he and his GT7 Motorsports team can rise to the challenge. 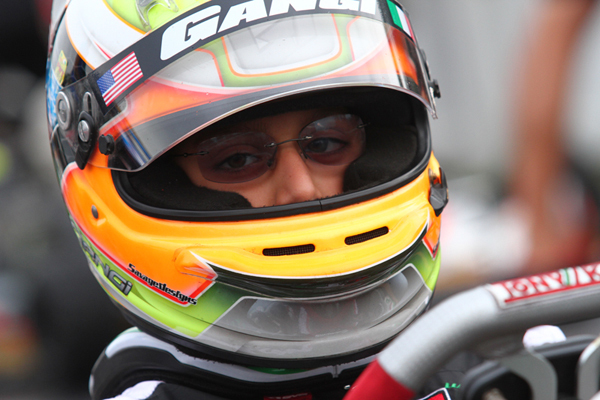 TOUGH OPENING TO FWT MINI MAX PROGRAM FOR ANTHONY GANGI JR.
Anthony Gangi Jr., a member of the GT7 Motorsports kart racing team, will be glad to put Palm Beach International Raceway in his rear view mirror as he sets his sights on the next round of the Florida Winter Tour. A tough and challenging weekend of Mini Max racing had the former FWT Micro Max Champion looking for answers as he was hit with both technical problems and some sporting challenges. 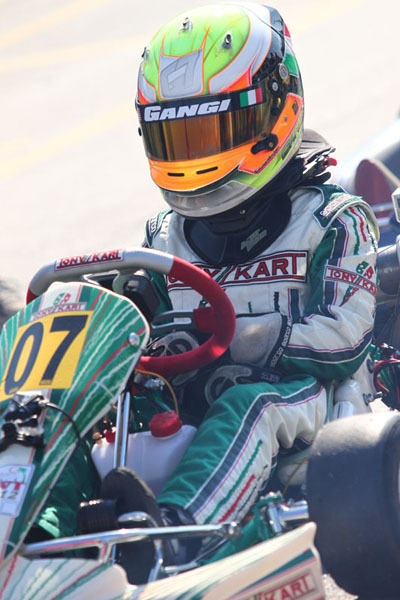 Looking to kick off his rookie campaign in Mini Max with solid results, Gangi Jr. will triple his efforts to get back some lost ground in the next double-header weekend taking place in four weeks time at the Homestead Karting Complex. 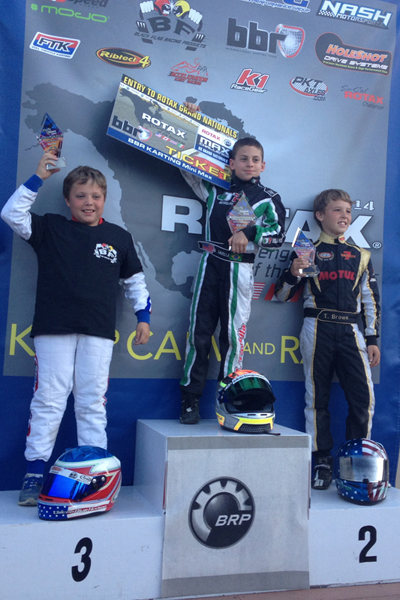 GT7 Motorsports, along with team driver Dylan Tavella, rocked the podium in the opening weekend of the Rotax Micro Max championship as he took third place in both the Saturday and Sunday A Main finals in the stacked 42-kart field. The nine-year-old racer from New York City was all business all weekend long as he worked with the GT7 Motorsports crew to stay near the top of the time sheets throughout the three-day, double-header event. 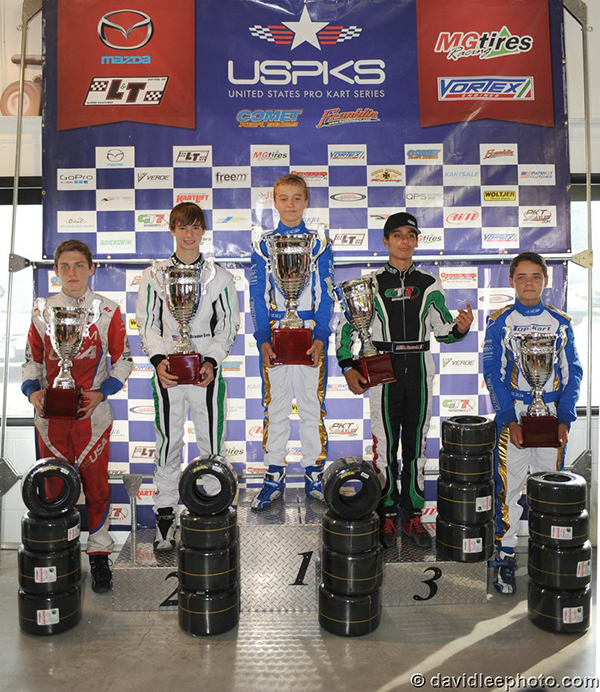 In fact, Tavella kept his new Tony Kart Cadet ride inside the top four in all six official competition sessions. Working with tuner Bob Radivoy and driver coach Garett Grist, Tavella kept himself in a position to win throughout the weekend. 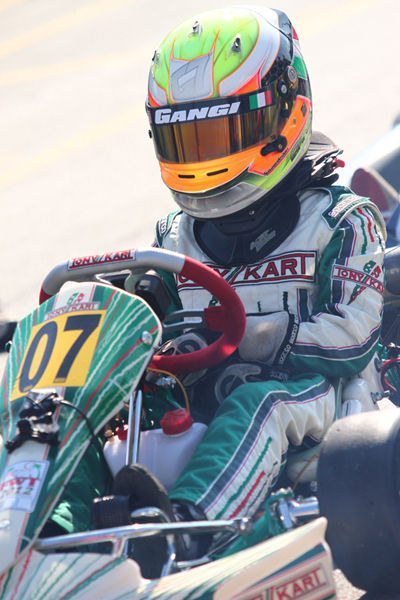 Anthony Gangi Jr., a member of the GT7 Motorsports kart racing team got his 2012 campaign underway with lots of speed, but only mixed results to show for the weekend. The third year racer made the trek to Palm Beach International Raceway in Jupiter, Florida to open up the first weekend of the 2012 Florida Winter Tour, using the opportunity to get a head start on the winter racing season. 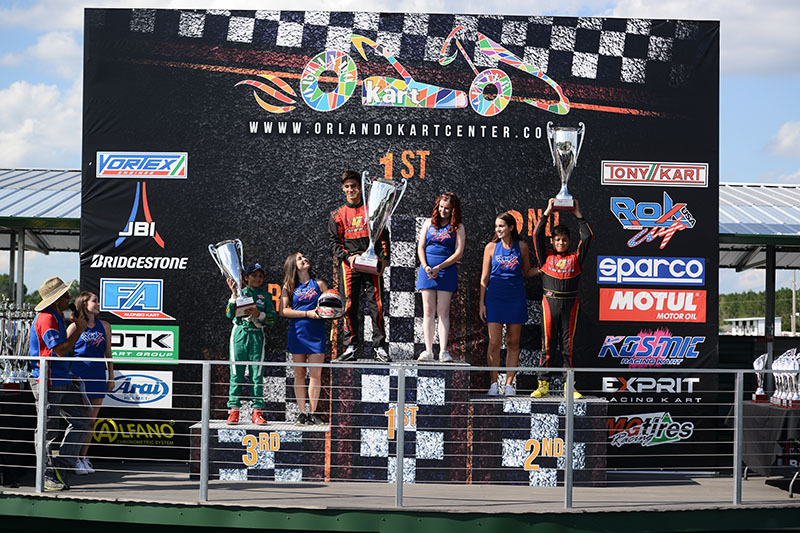 With 35 karts in the Vortex TaG Cadet class, the competition was tough and the racing action was close as everyone was looking to kick off the season with a win. 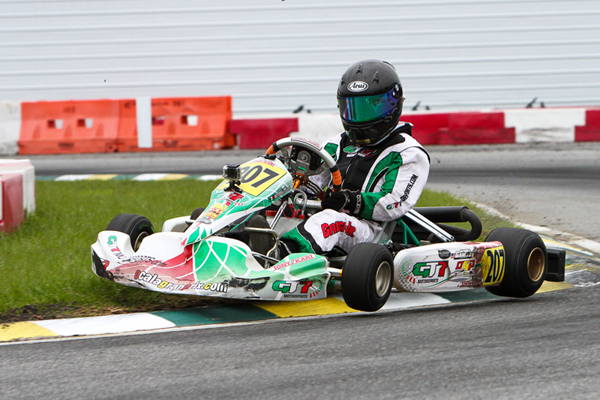 The GT7 Motorsports crew had two karts in the Vortex TaG Cadet class with Gangi Jr. looking to keep his 2011 late season momentum going into 2012. 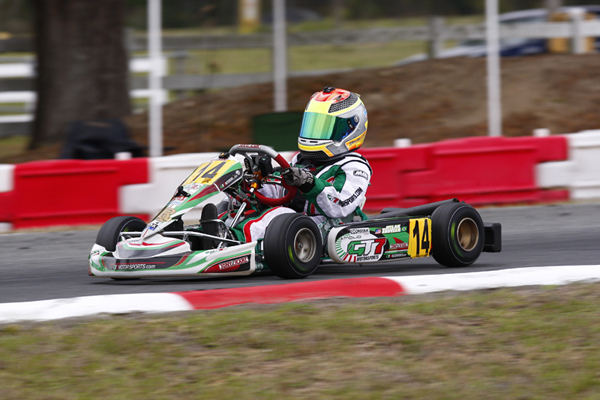 The weekend offered up two very different final races, delivering a mixed bag of results and some karting karma coming into play in the Sunday feature. 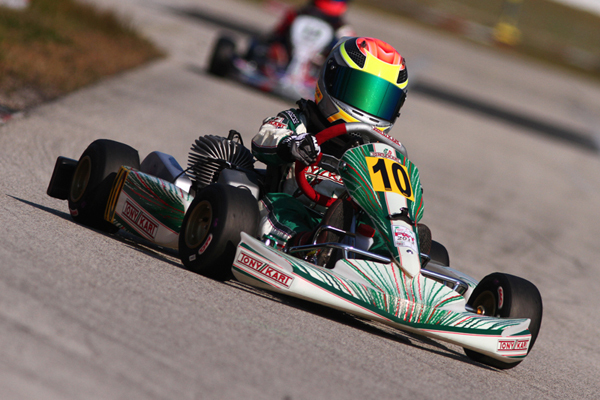 The GT7 Motorsports Team, along with team driver Dylan Tavella, completed their first weekend in the 2012 Florida Winter Tour Formula Kart Vortex TaG Cadet class. 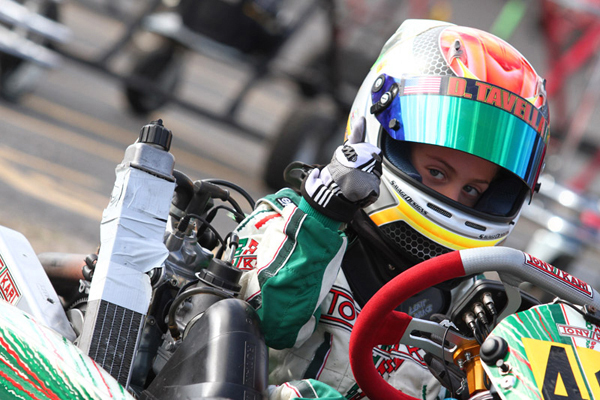 Tavella, from New York City, New York has been busy in the off-season as he looks to make his mark in his second full season of national karting competition. 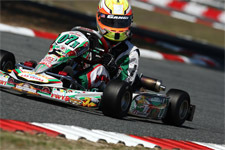 The 2012 season began with a switch to the Tony Kart chassis along with extensive pre-season testing. 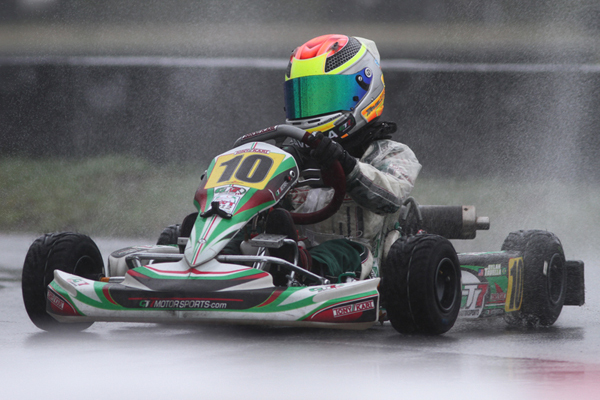 Tavella used the opening weekend of the annual winter racing series as a tune up for the Rotax Micro Max program in which he has his sights set squarely on a class championship. 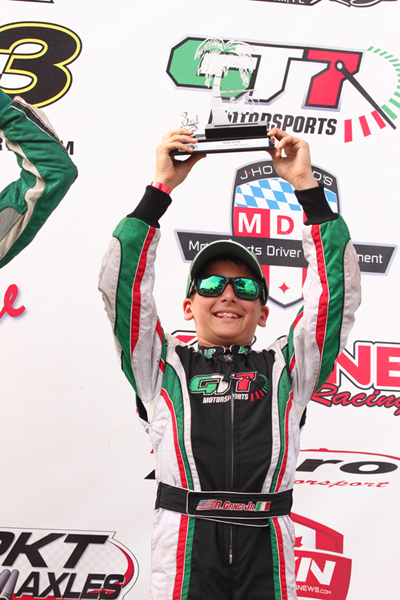 The G7 Motorsports team, along with driver Anthony Gangi Jr., put the wraps on an outstanding, yet challenging third season of racing as they ended the year just as it started; on the podium. Running in five different classes in four different series, 10-year-old Gangi Jr. criss-crossed the United States looking to build on a stellar 2010 campaign. 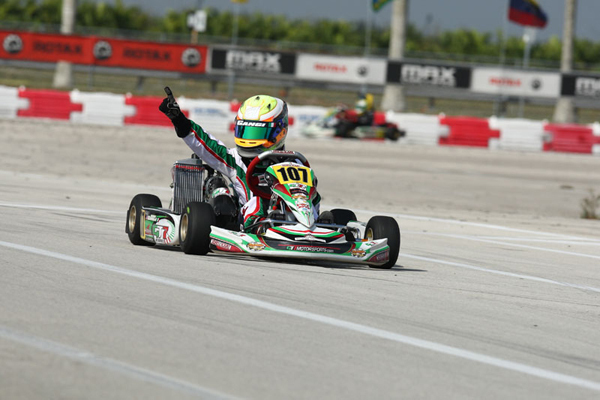 Anthony Jr. was able to hit the podium on 14 occasions in 2011, racking up seven major victories through the Florida Winter Tour, WKA Manufacturer's Cup Series, Pan American Challenge, US Rotax Grand Nationals and the SuperKarts! USA SuperNationals.